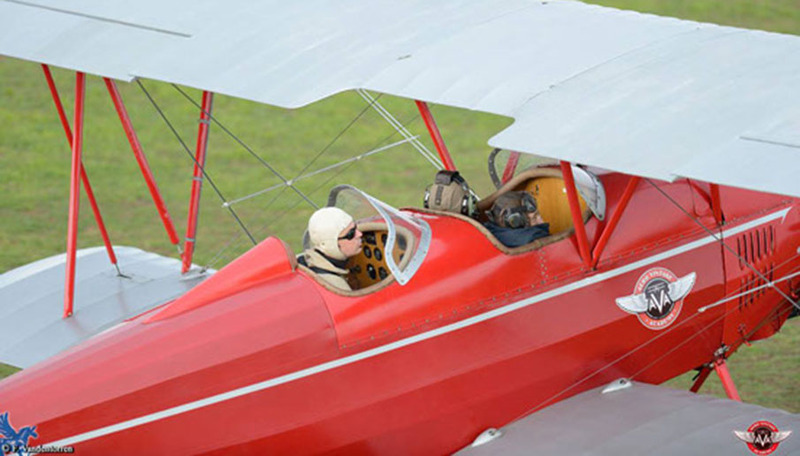 and that keep going through time and generations, in the air and workshops. 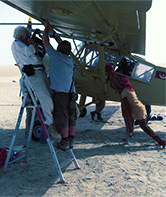 Our workshops are always busy with plane maintenance for flights. 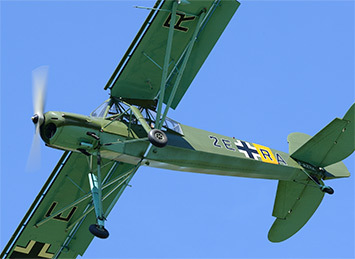 The second main activity is restoration. 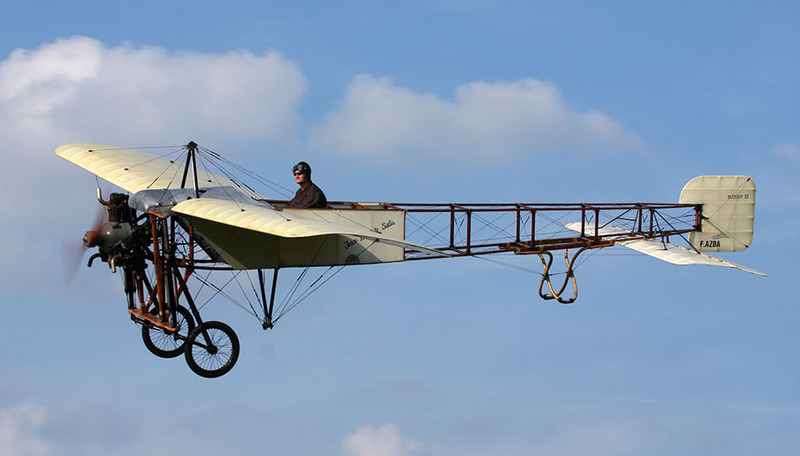 These activities have been kept alive by Jean Baptiste Salis then his son Jean Salis and now his grand-son Baptiste Salis. 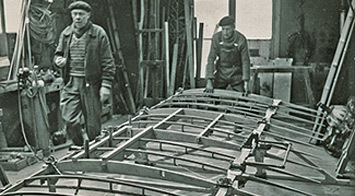 Also : construction or reconstruction activity mostly for museums, collectors and movies requests. 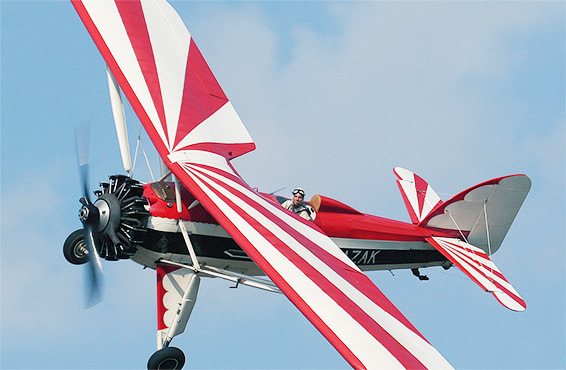 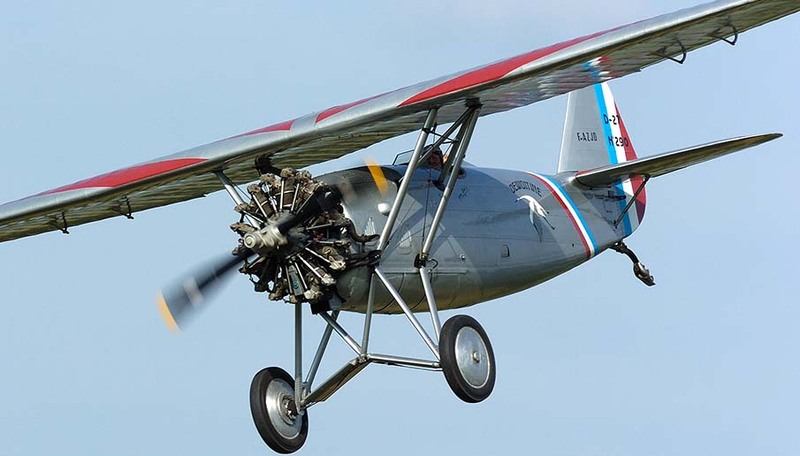 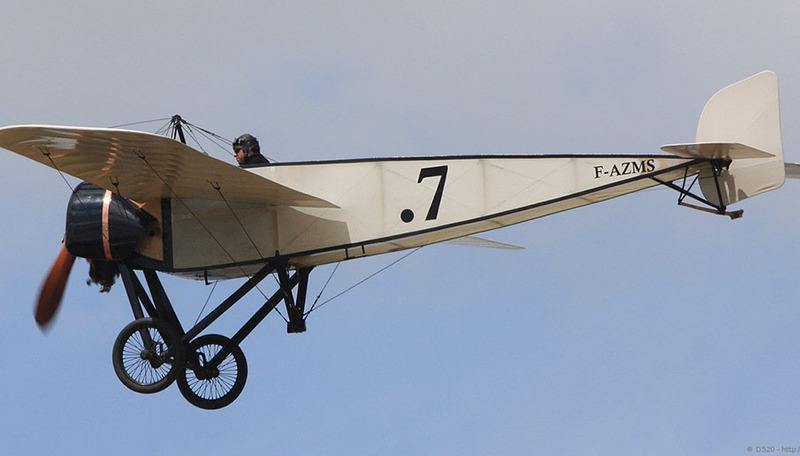 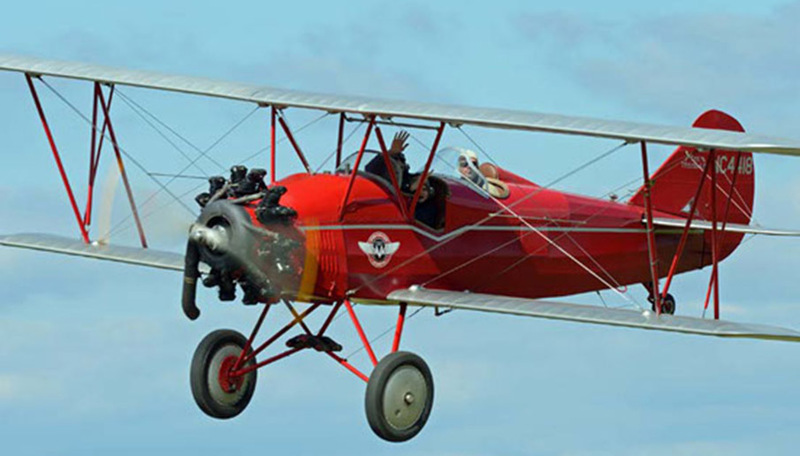 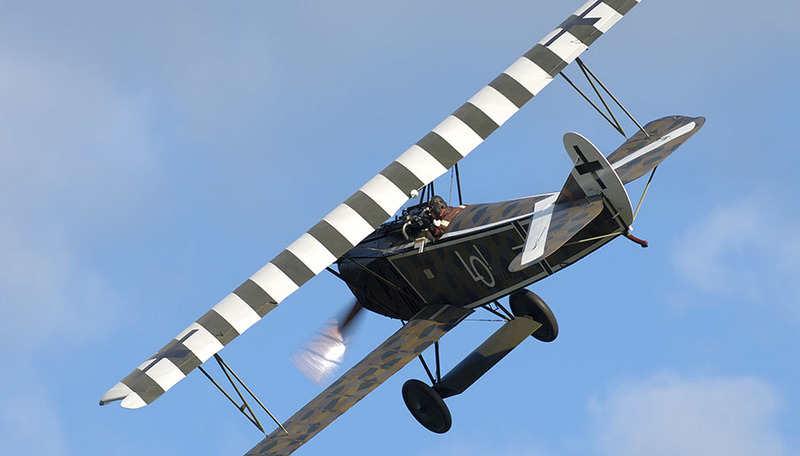 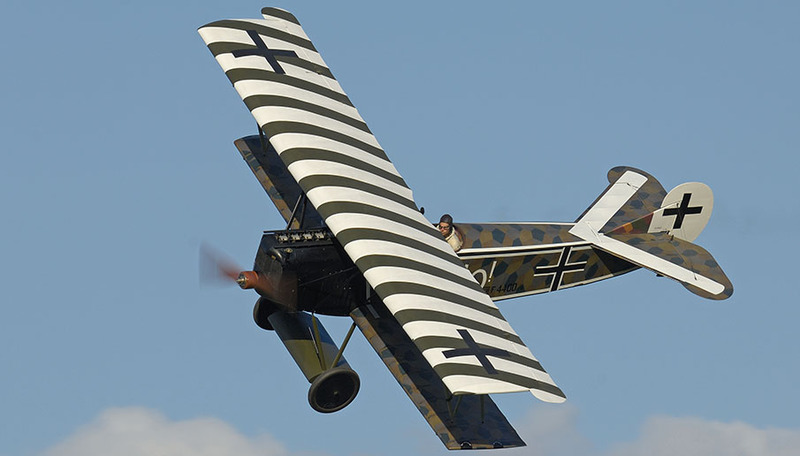 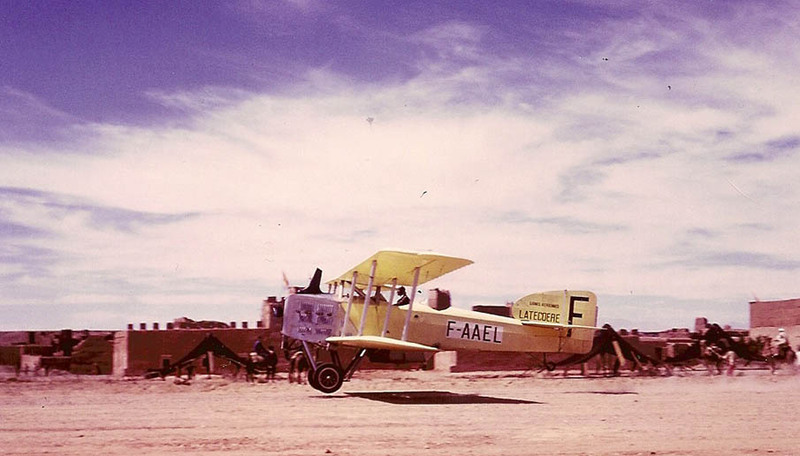 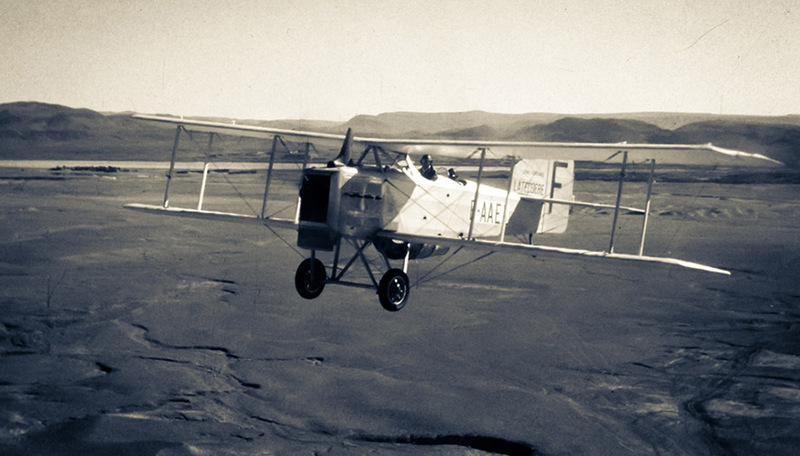 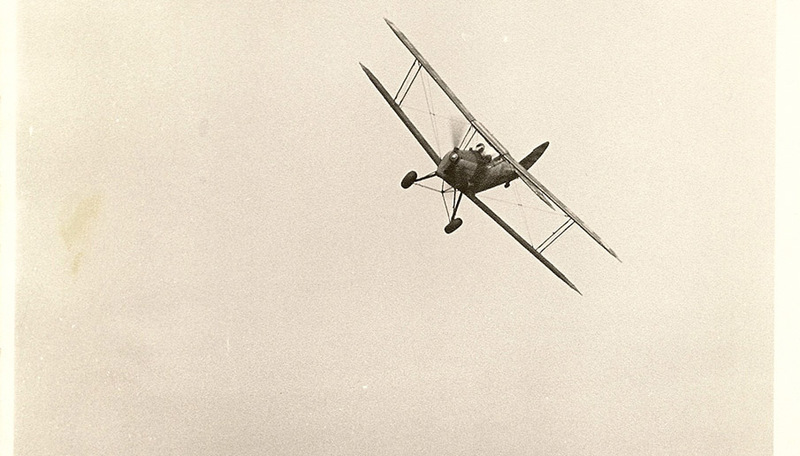 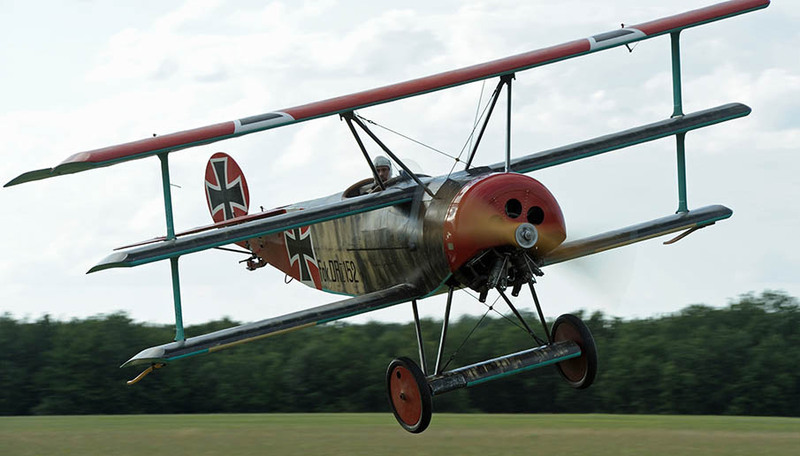 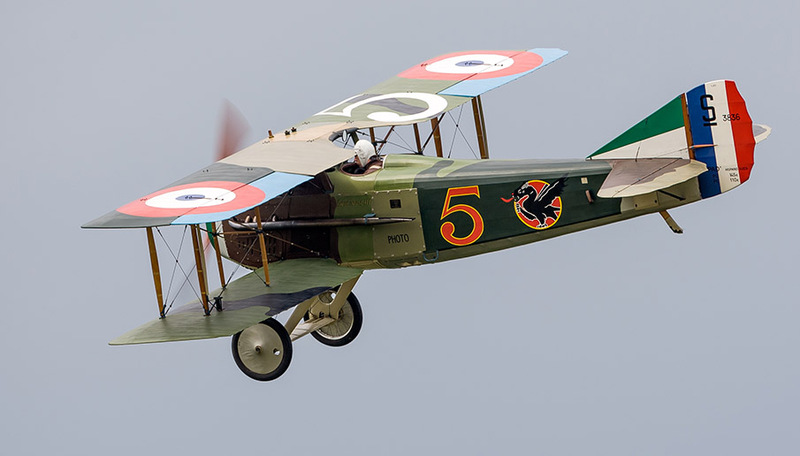 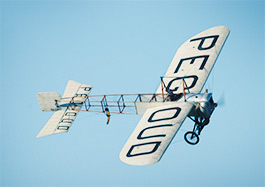 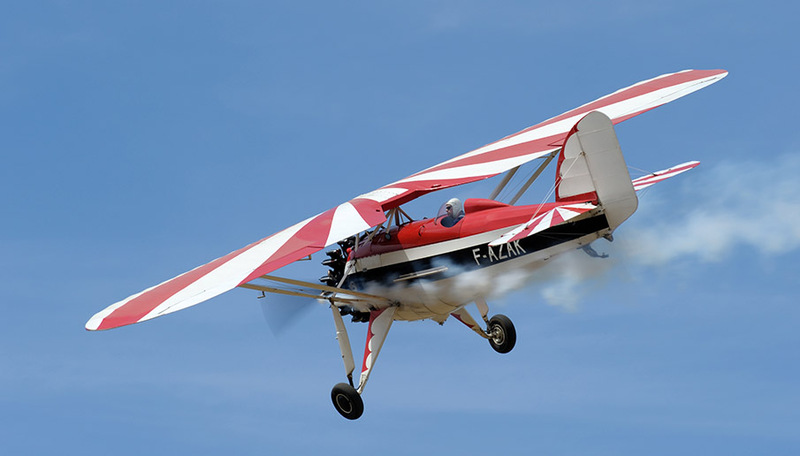 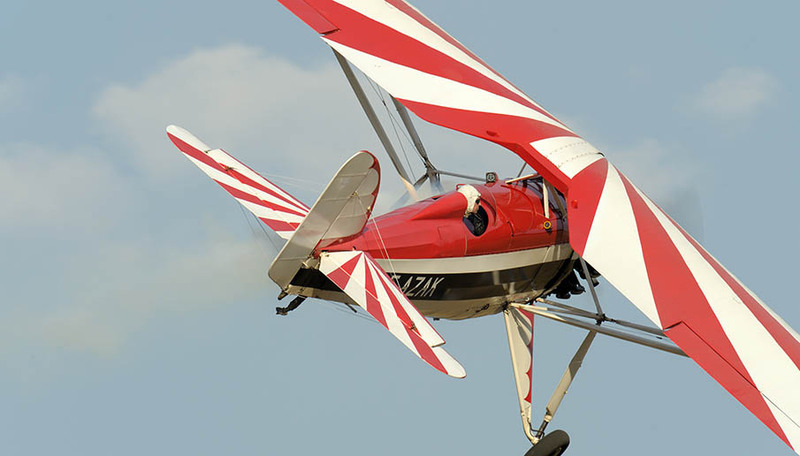 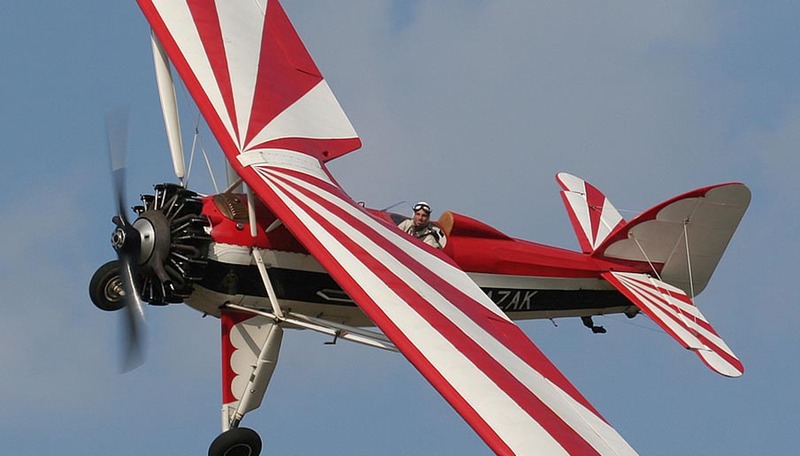 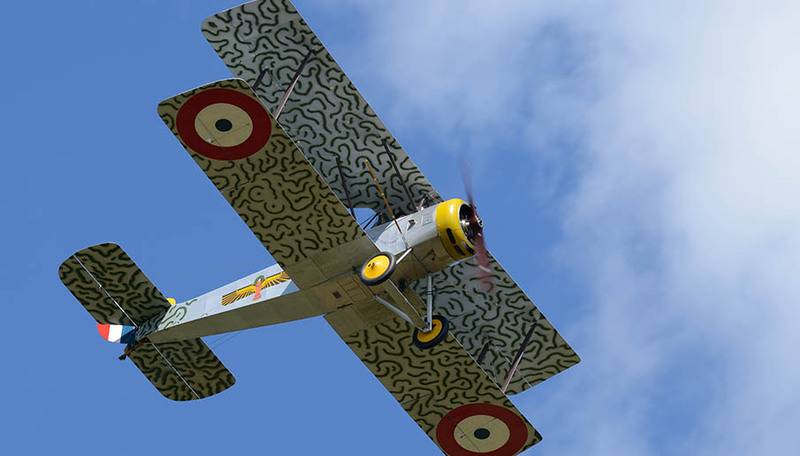 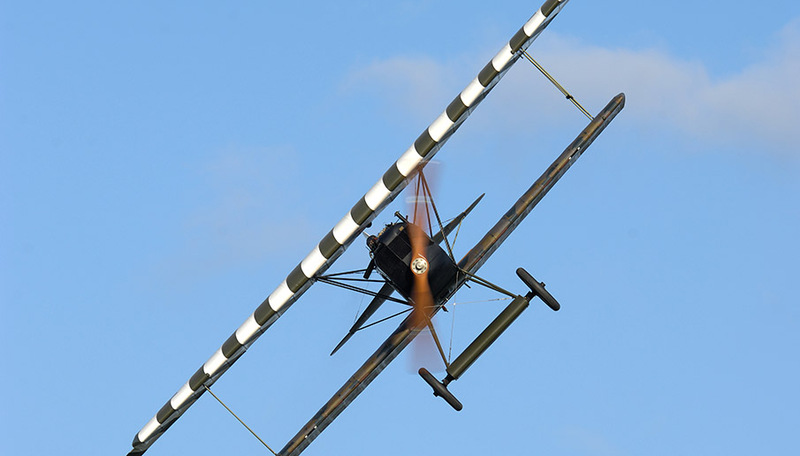 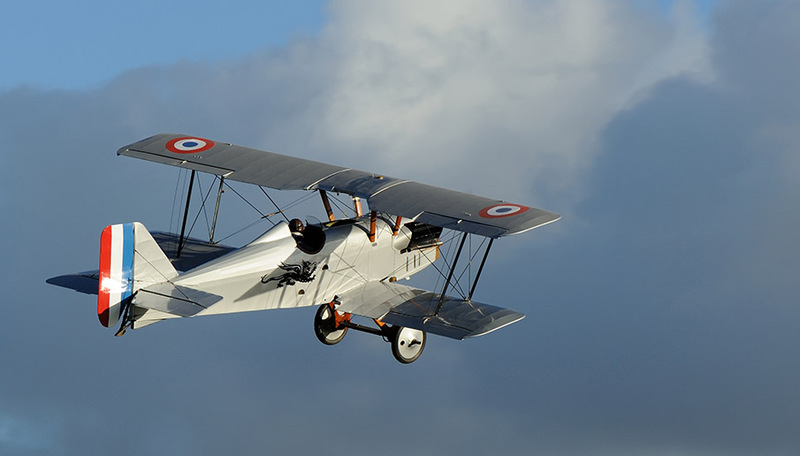 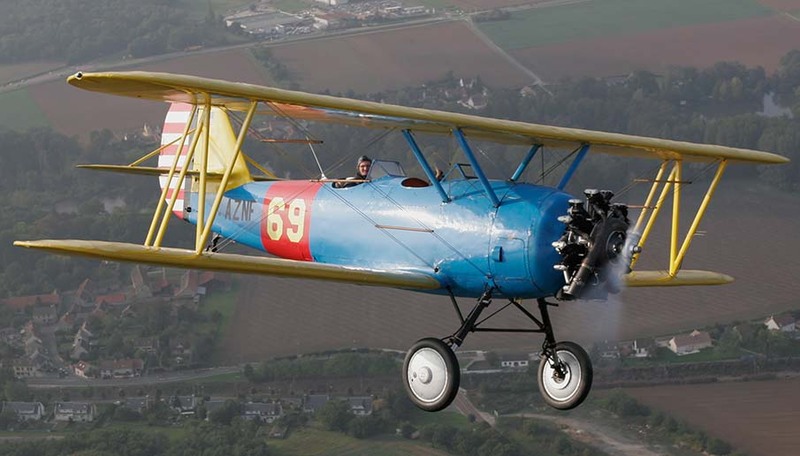 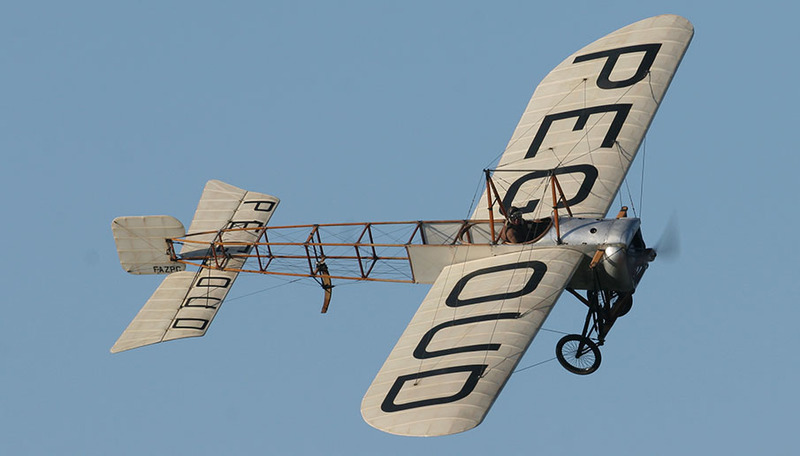 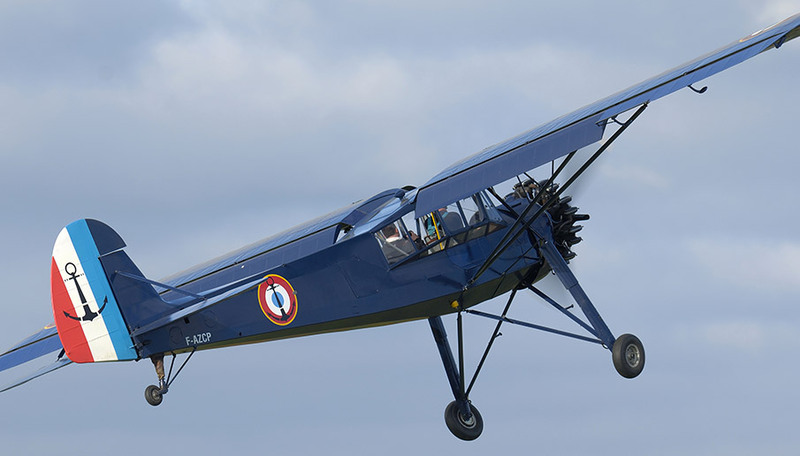 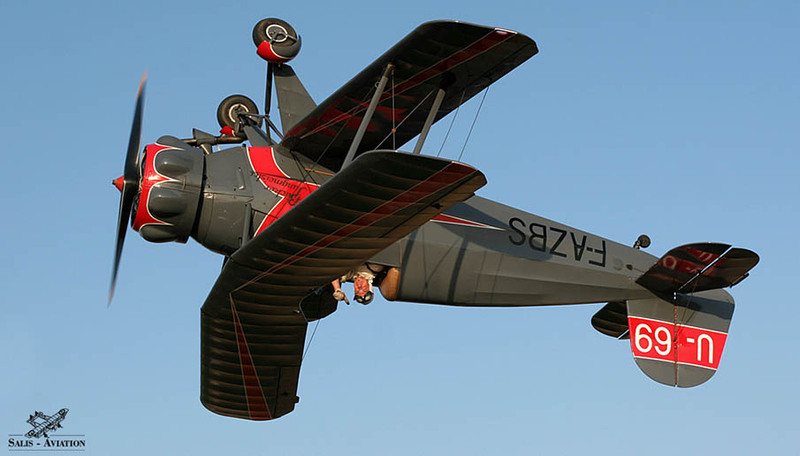 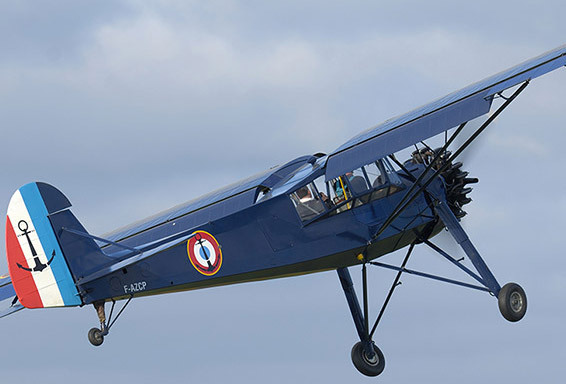 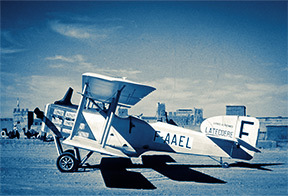 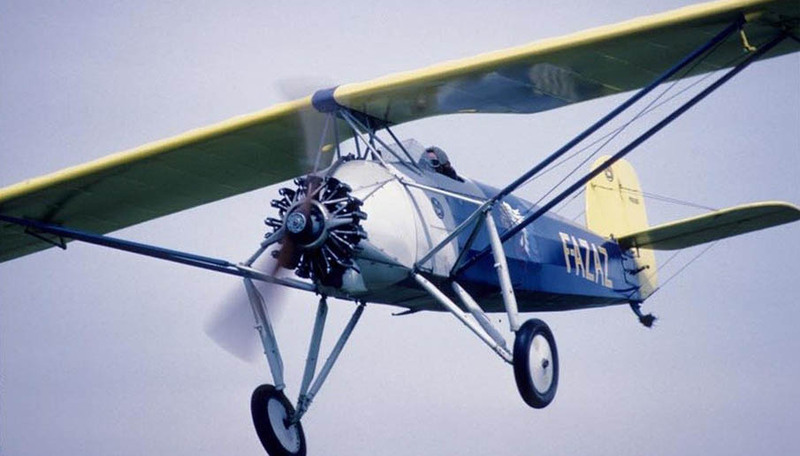 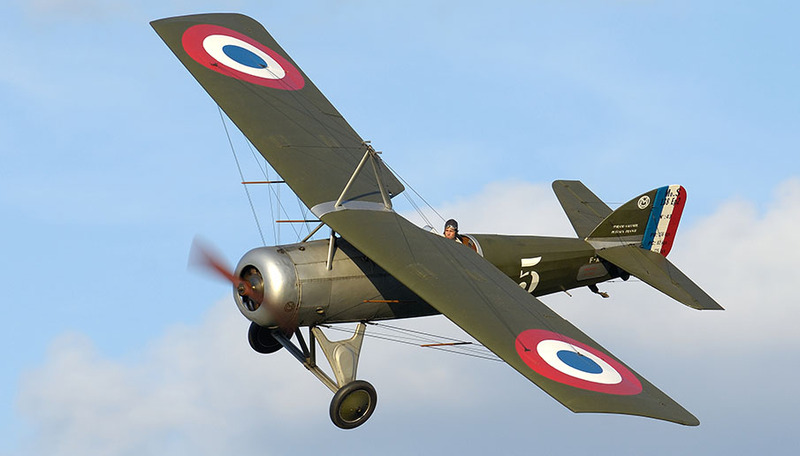 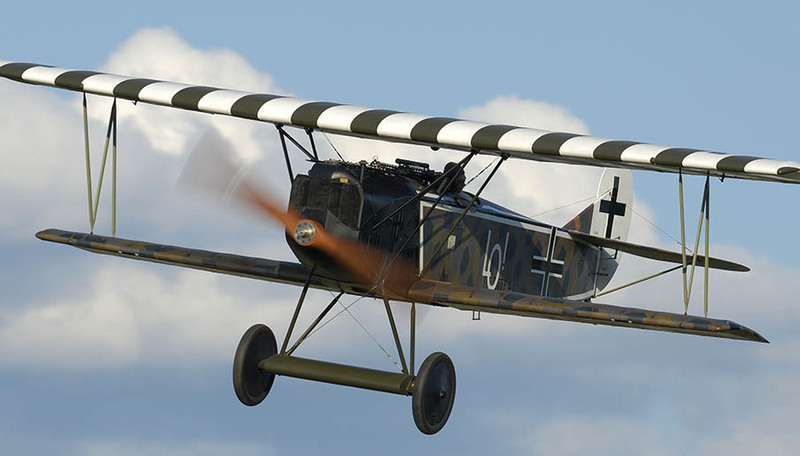 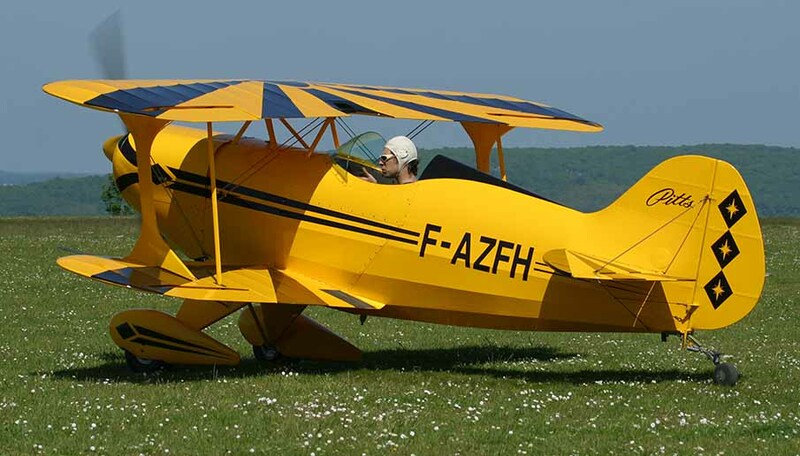 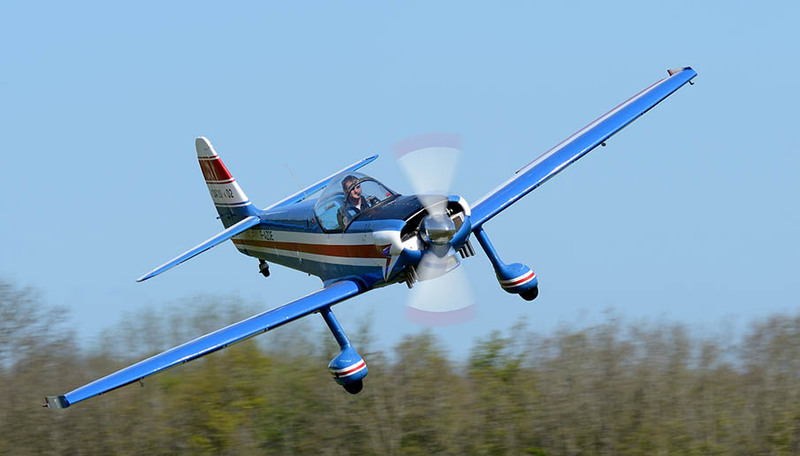 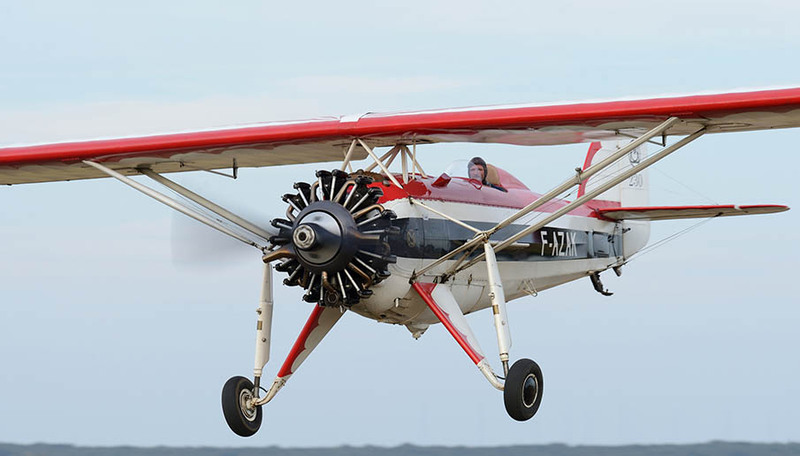 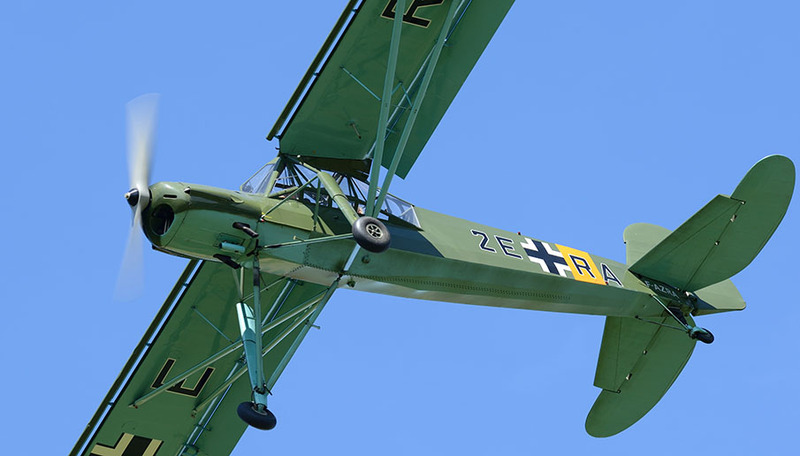 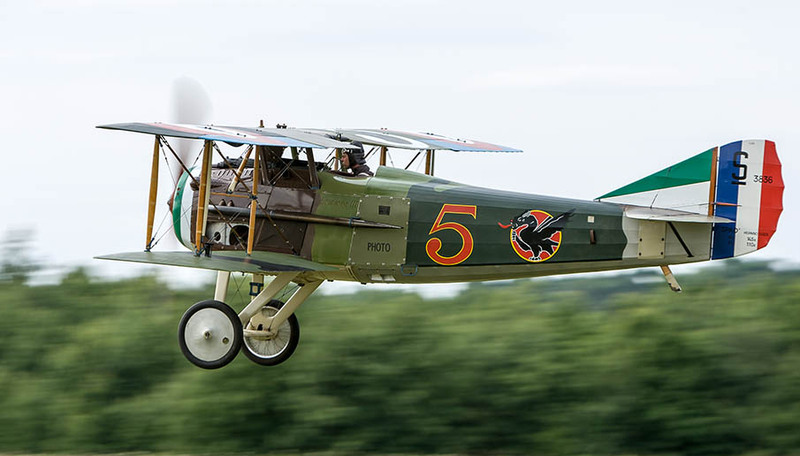 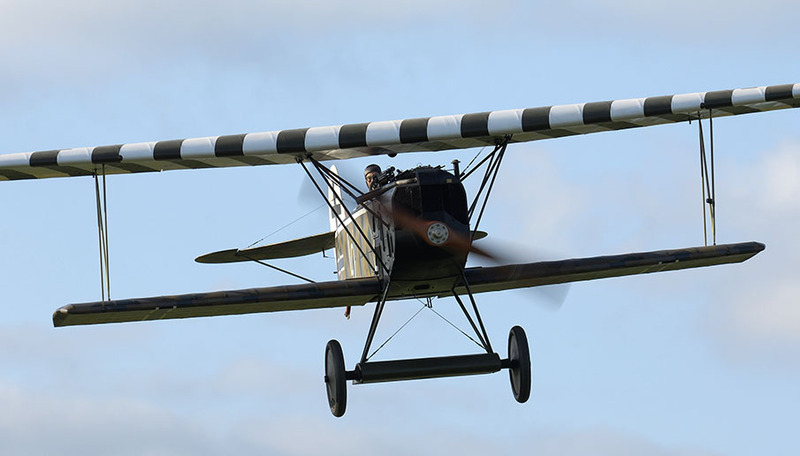 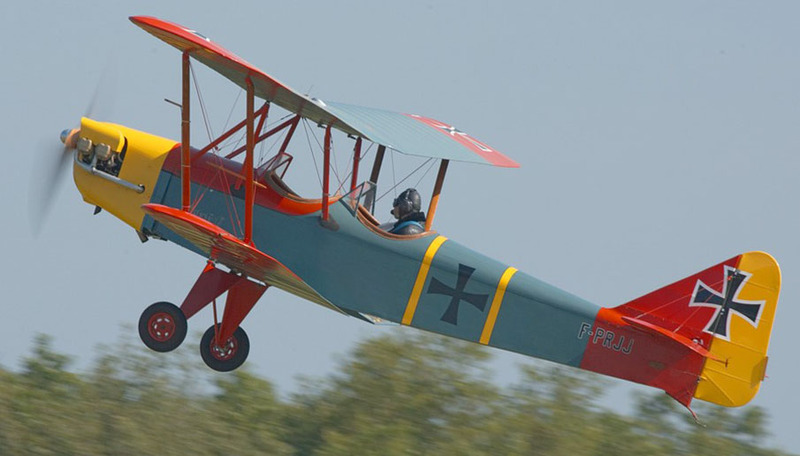 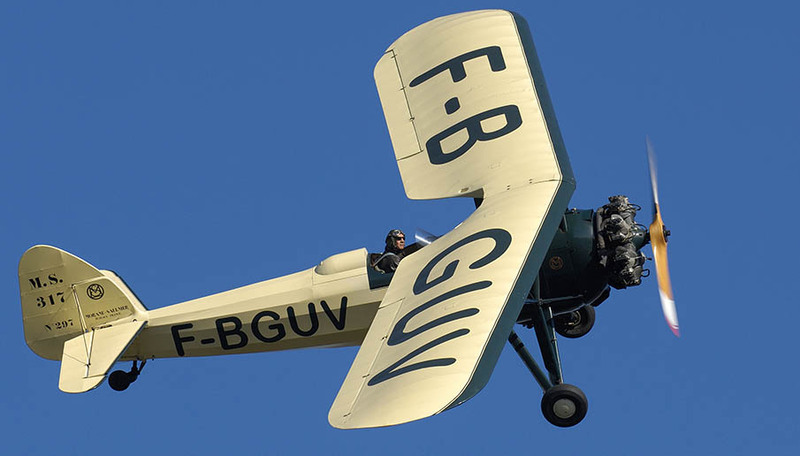 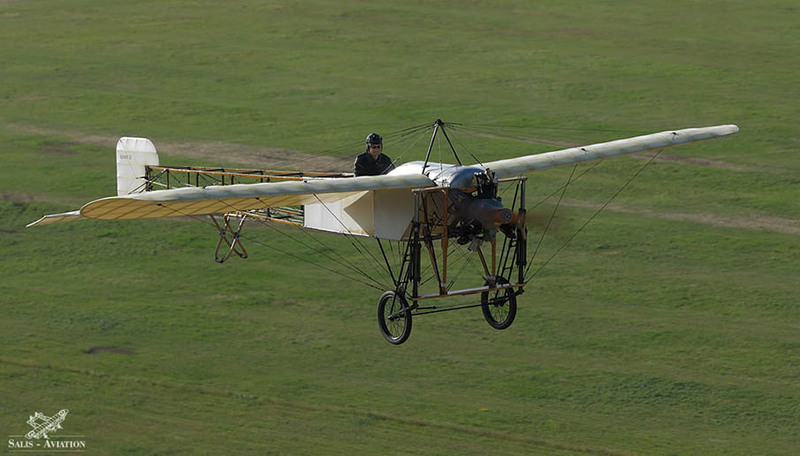 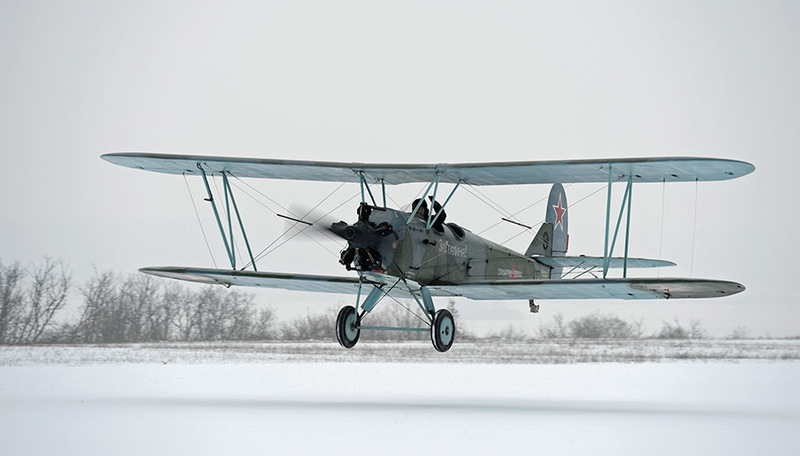 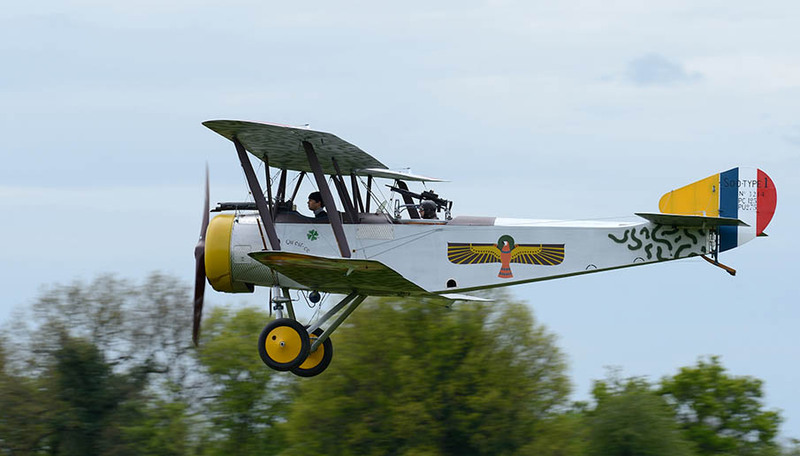 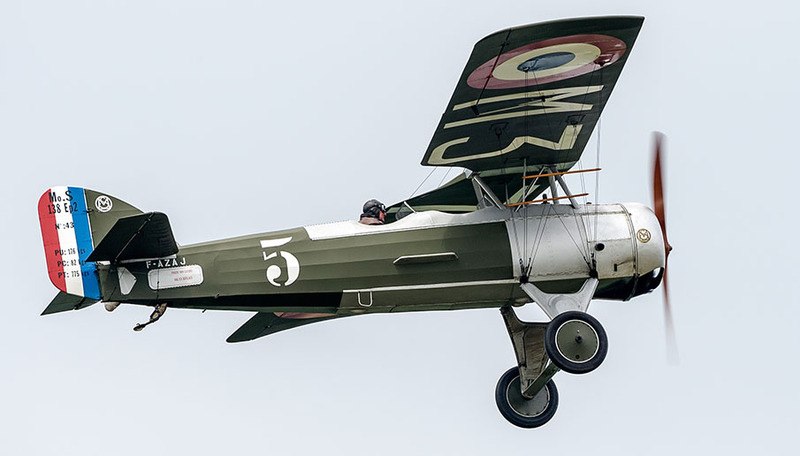 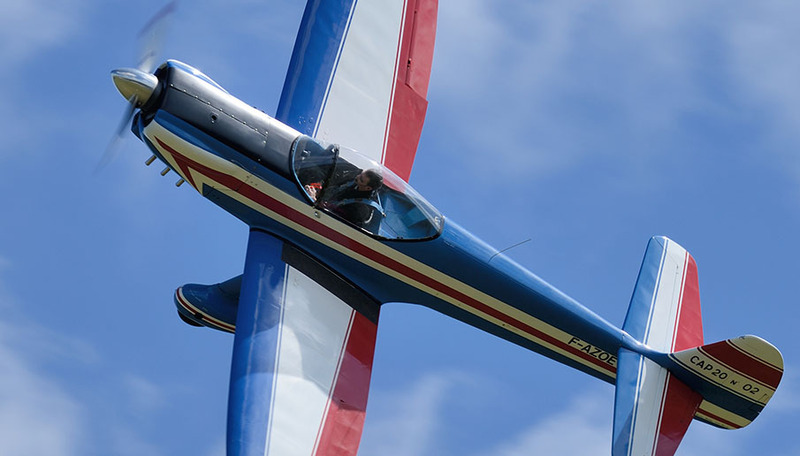 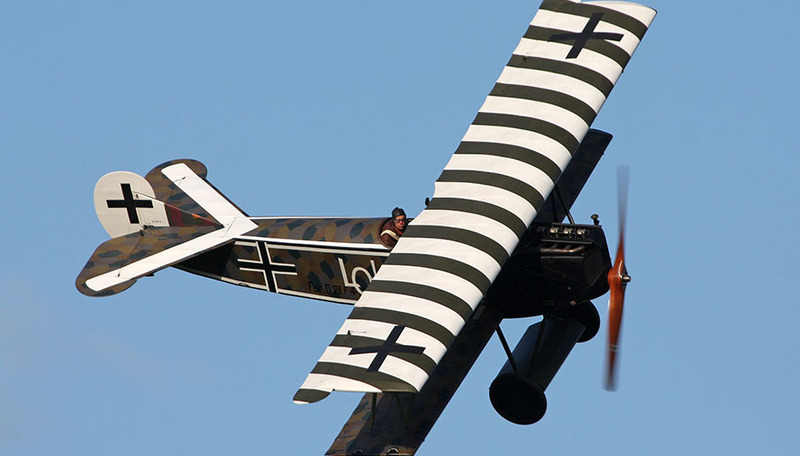 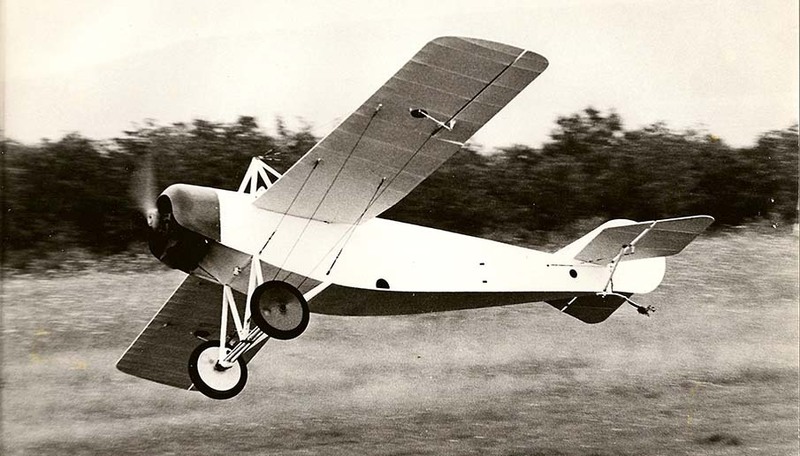 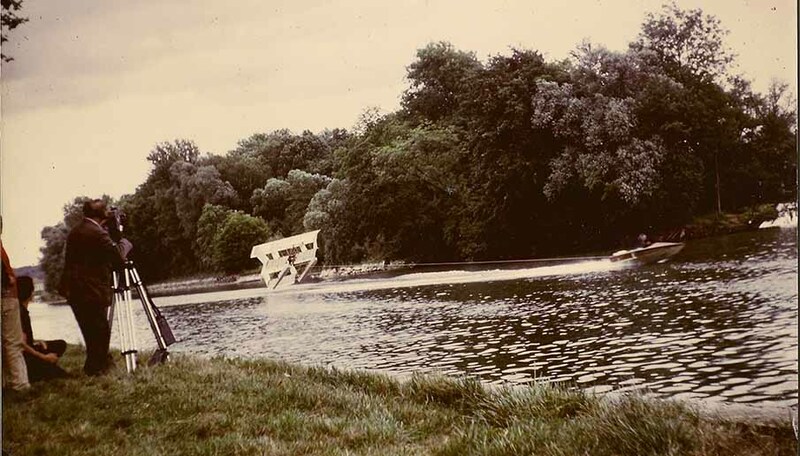 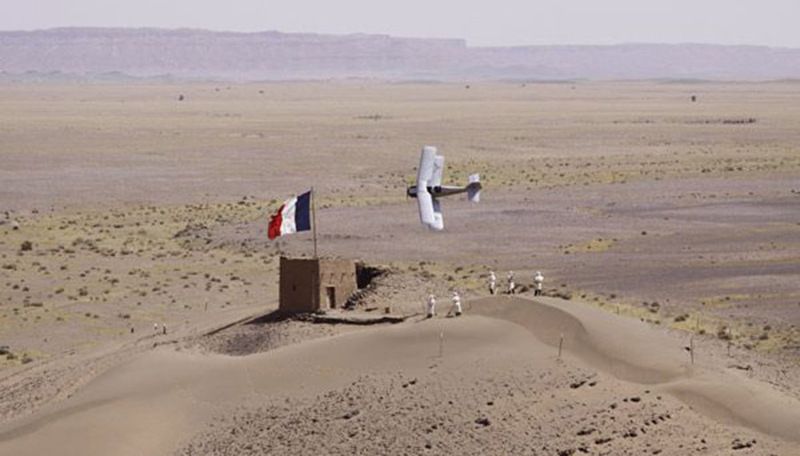 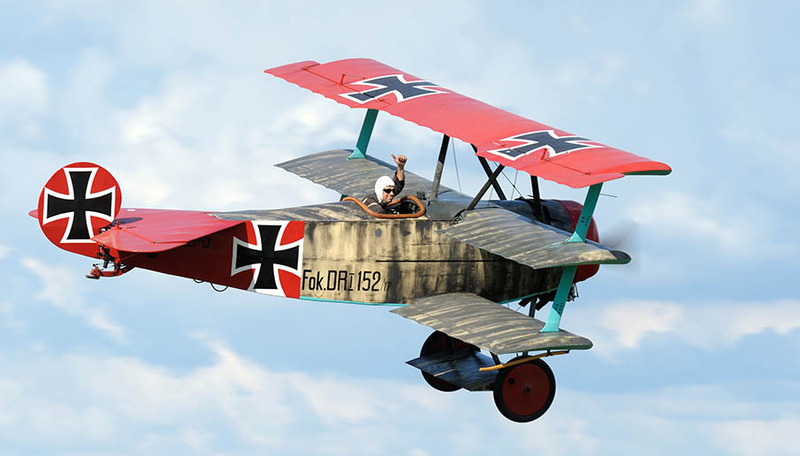 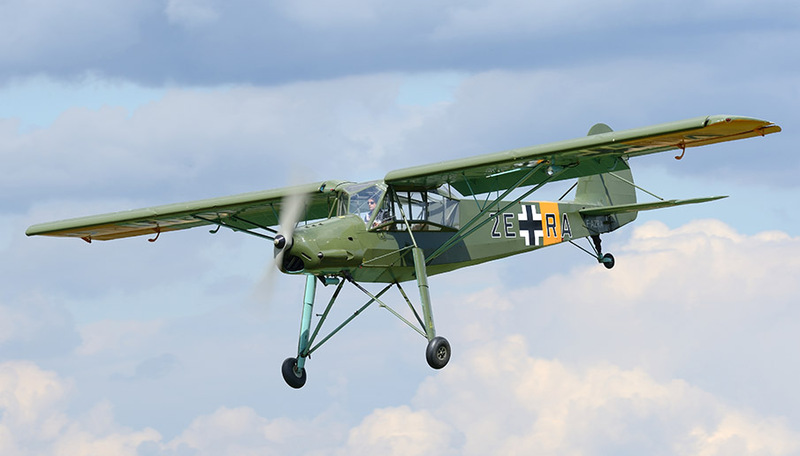 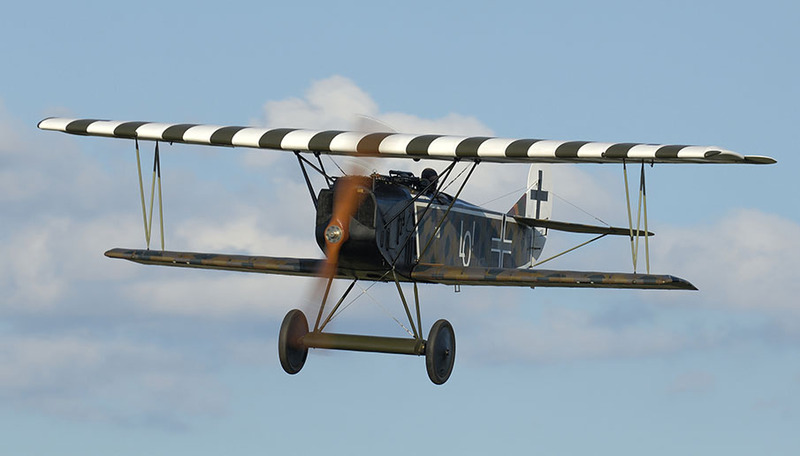 FOKKER TRIPLAN pour « L’As des As », flying in Biplane et Monoplane versions. 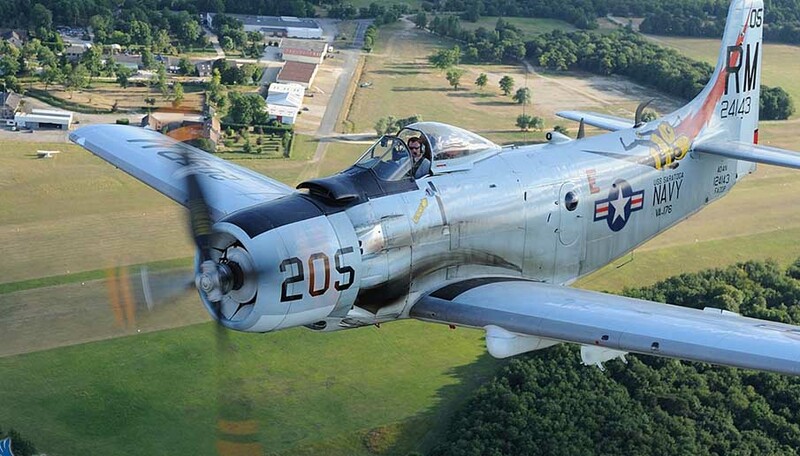 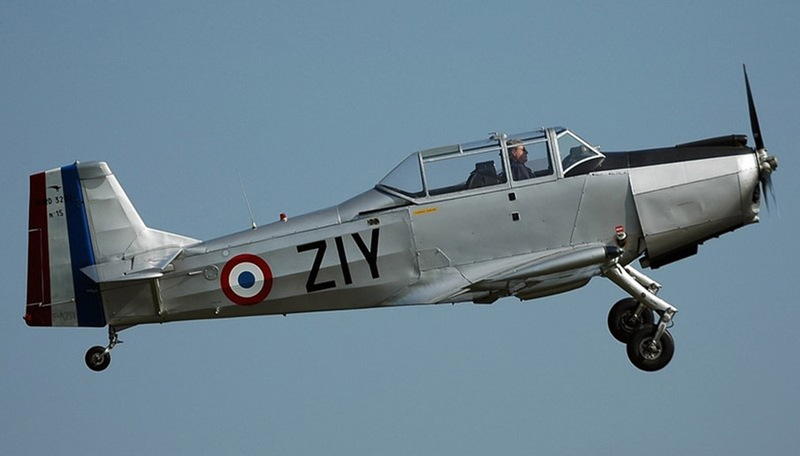 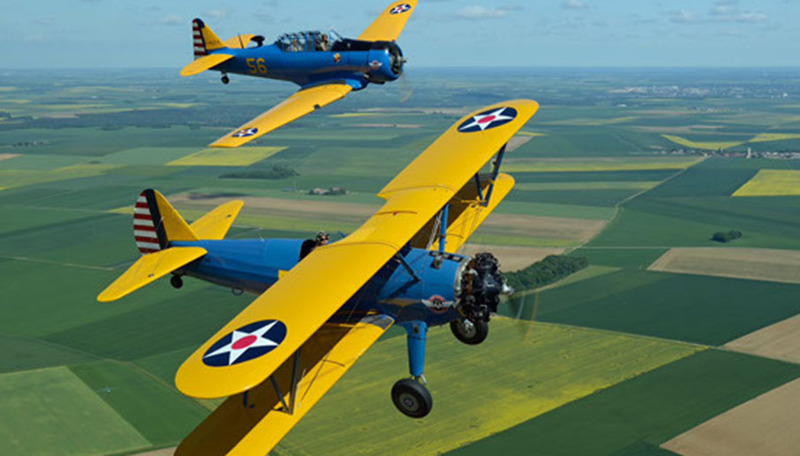 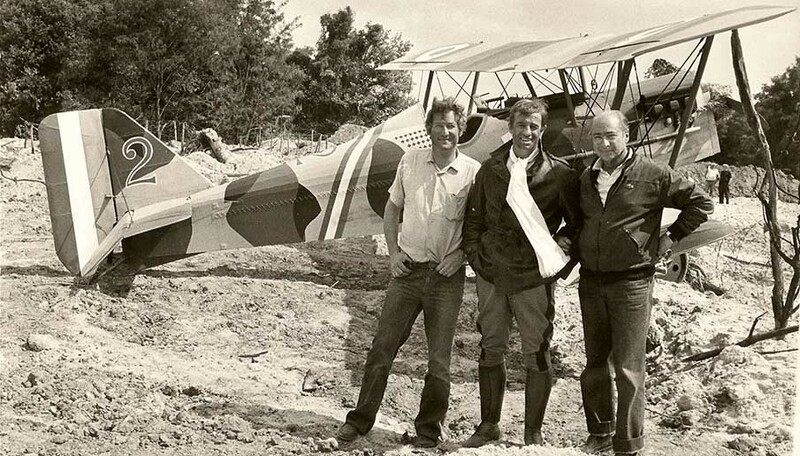 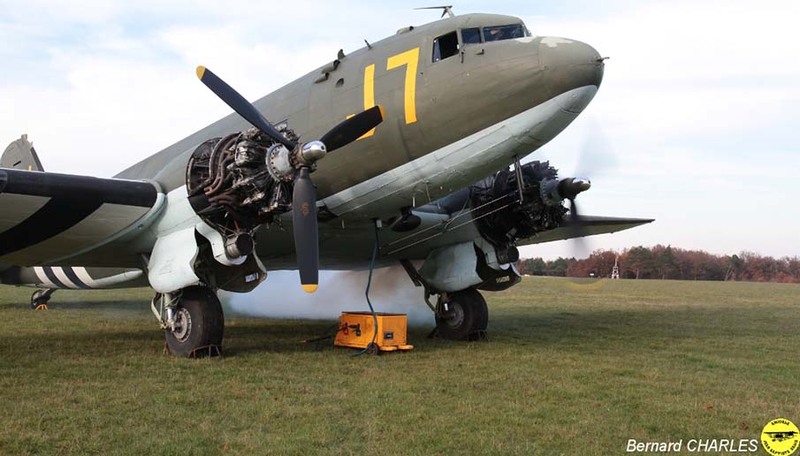 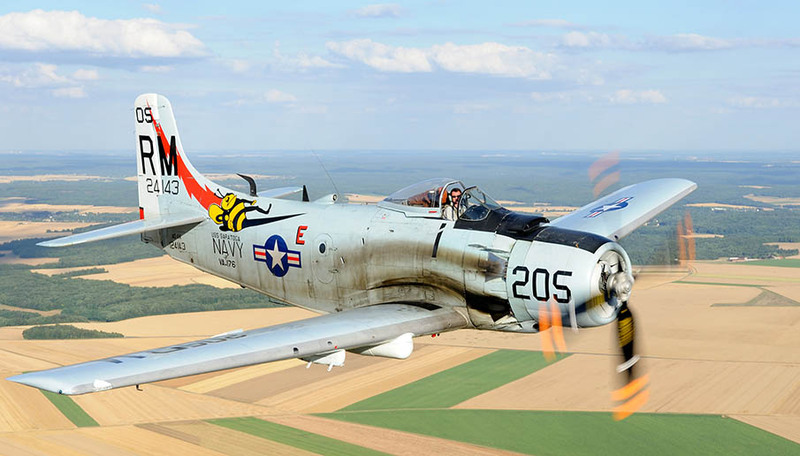 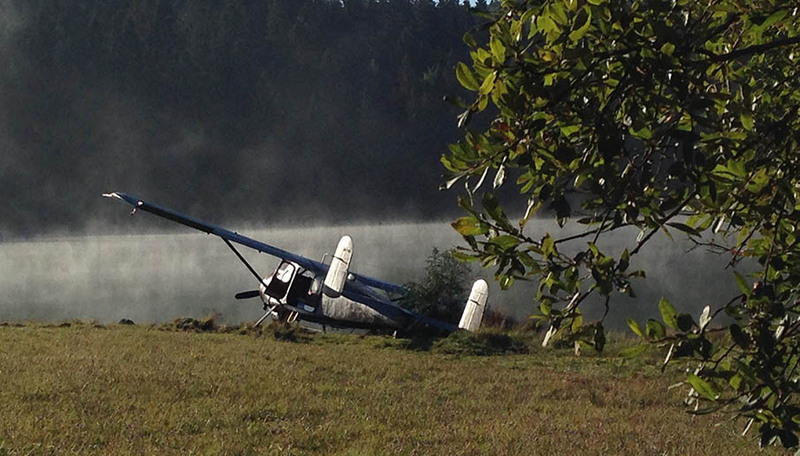 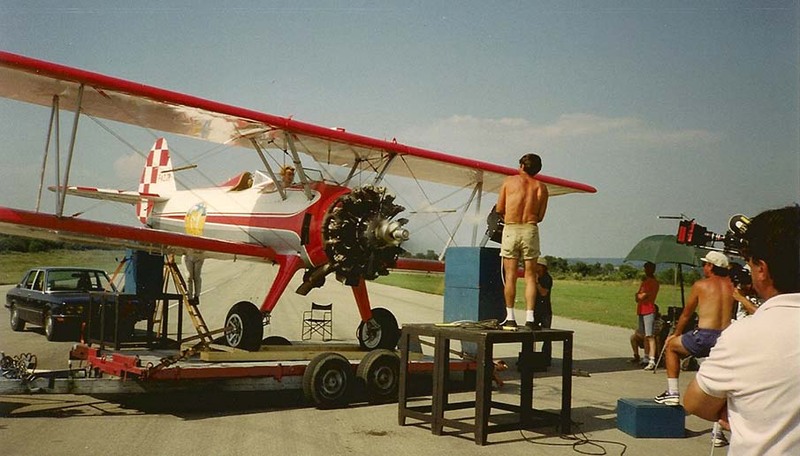 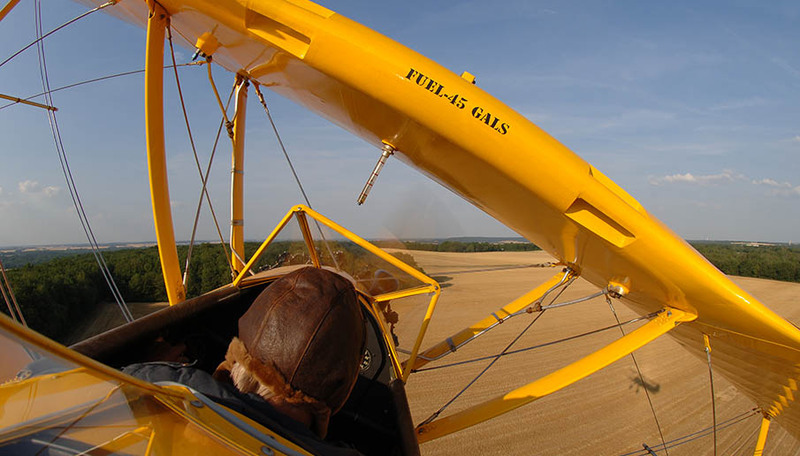 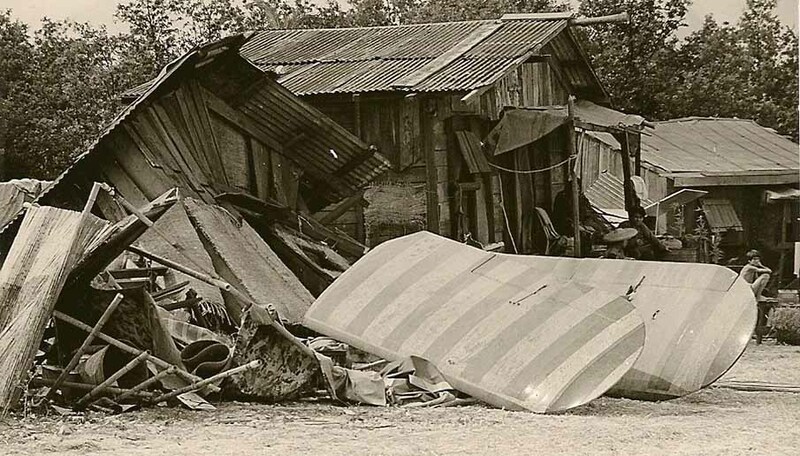 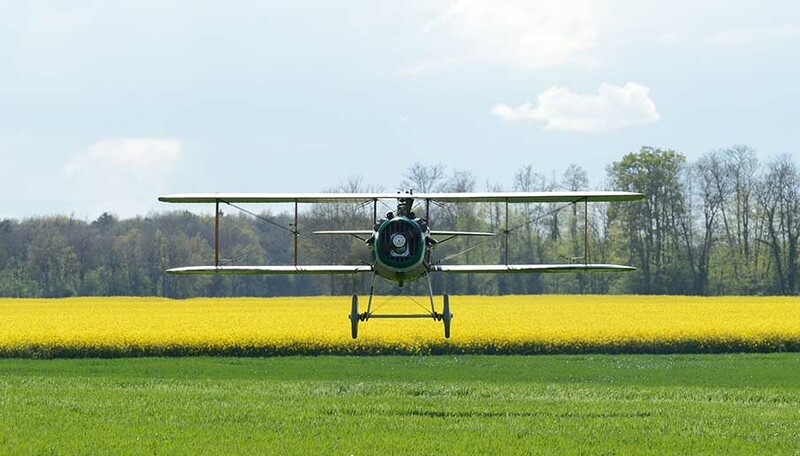 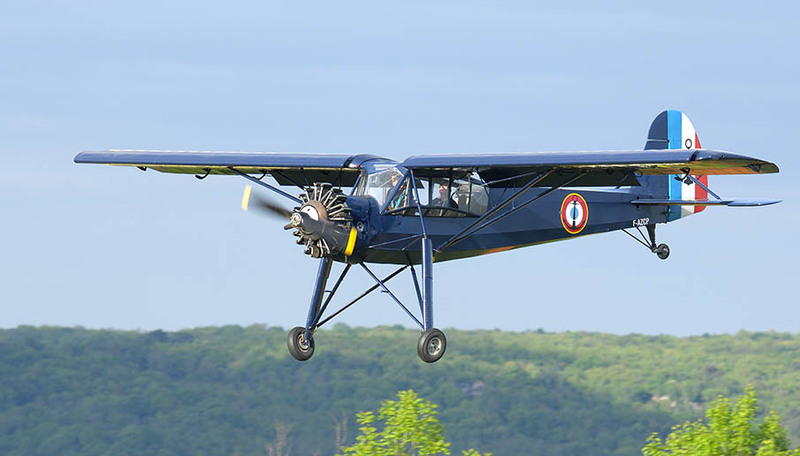 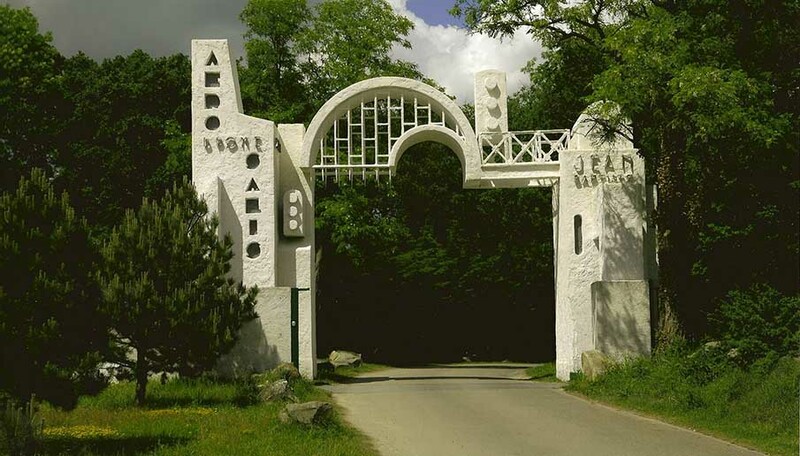 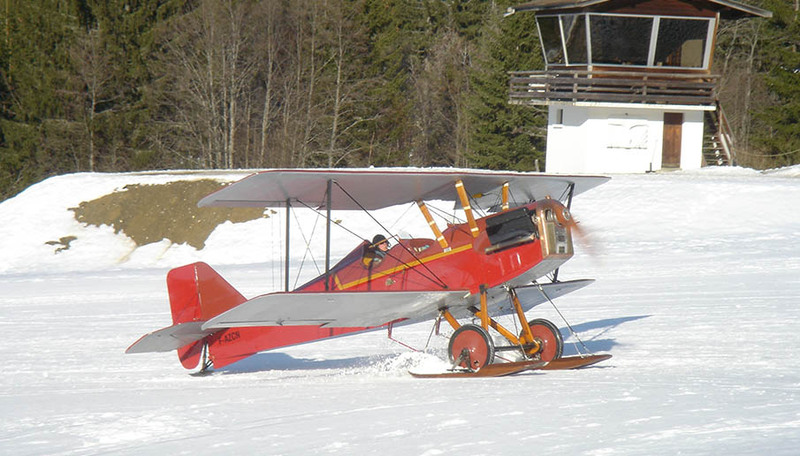 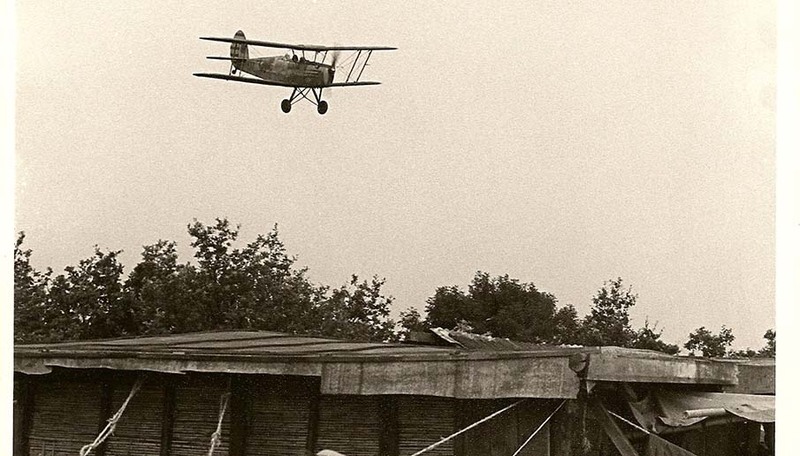 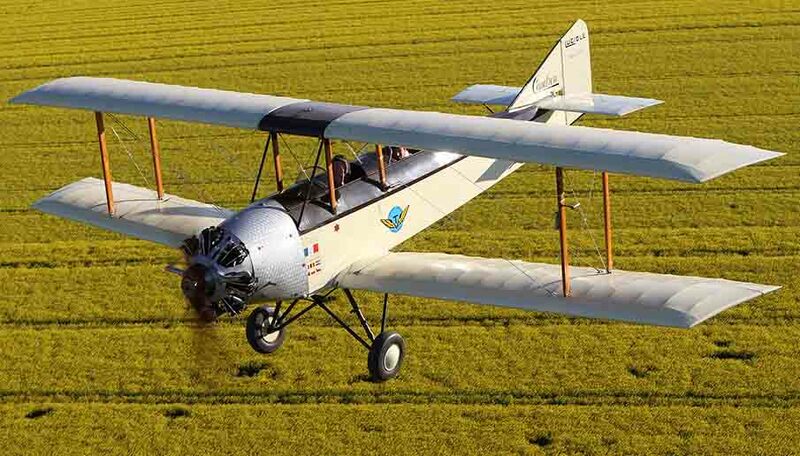 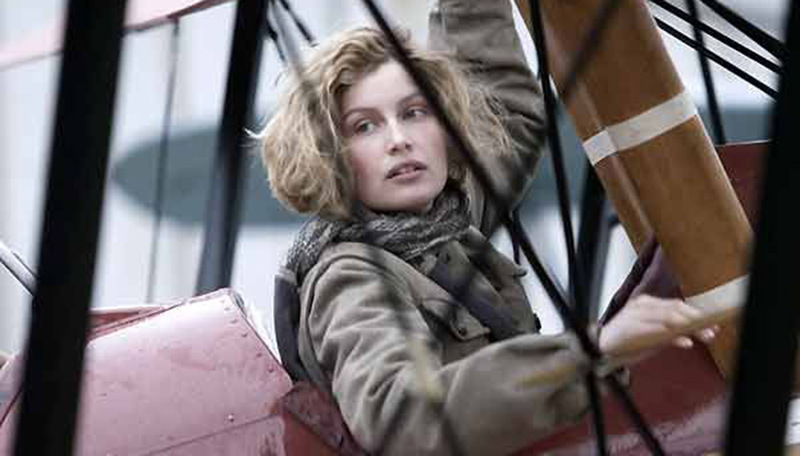 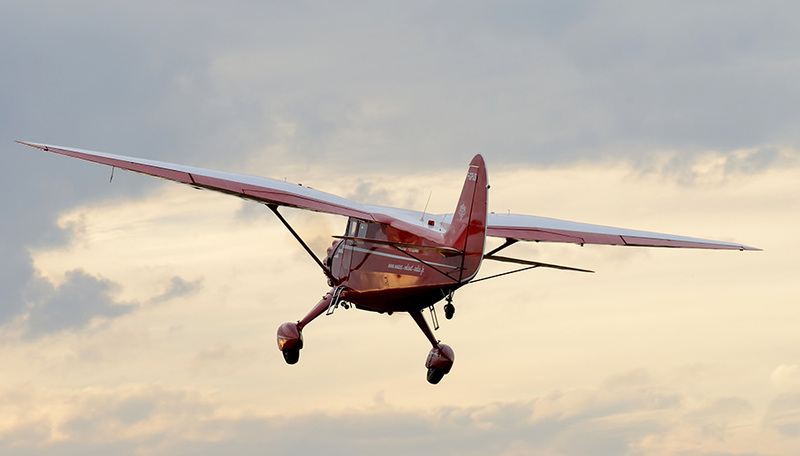 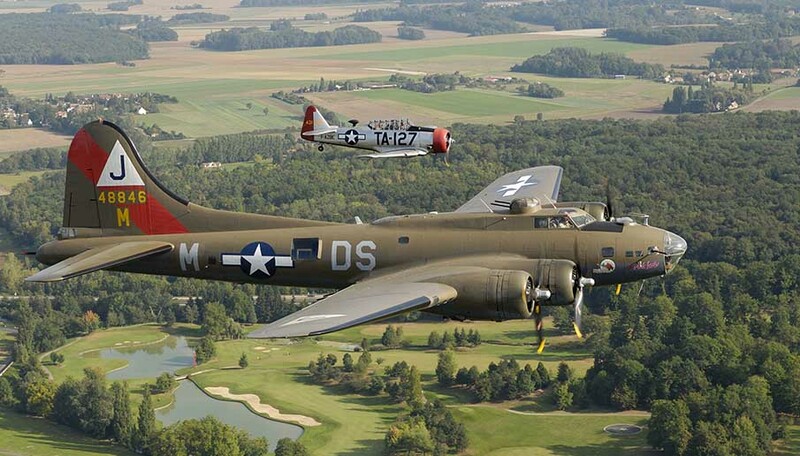 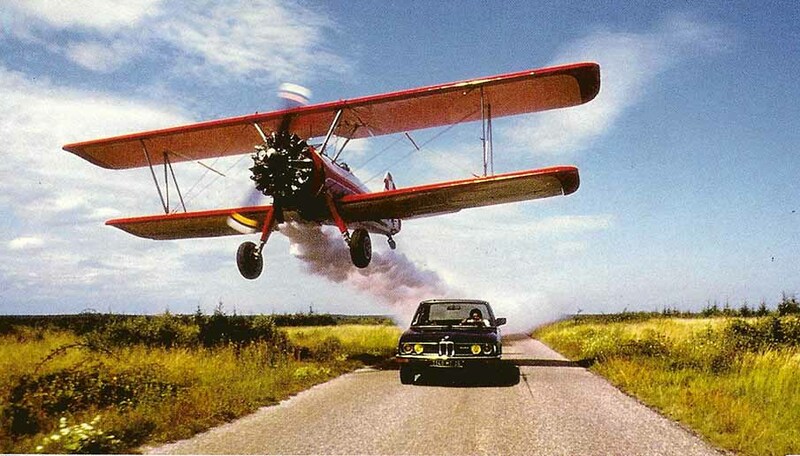 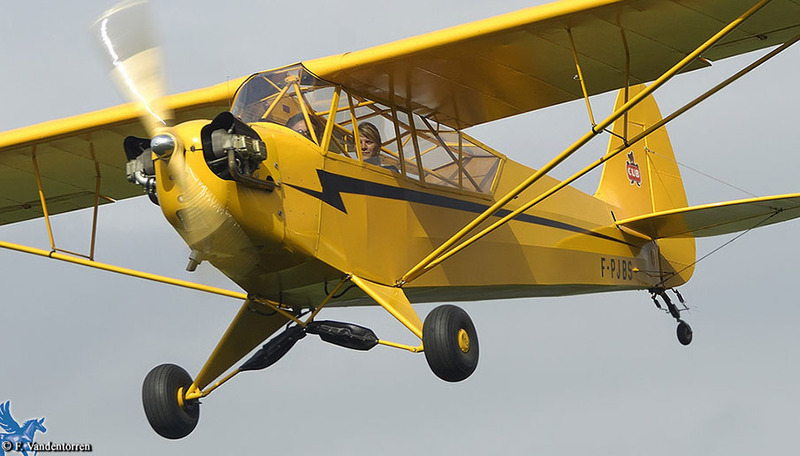 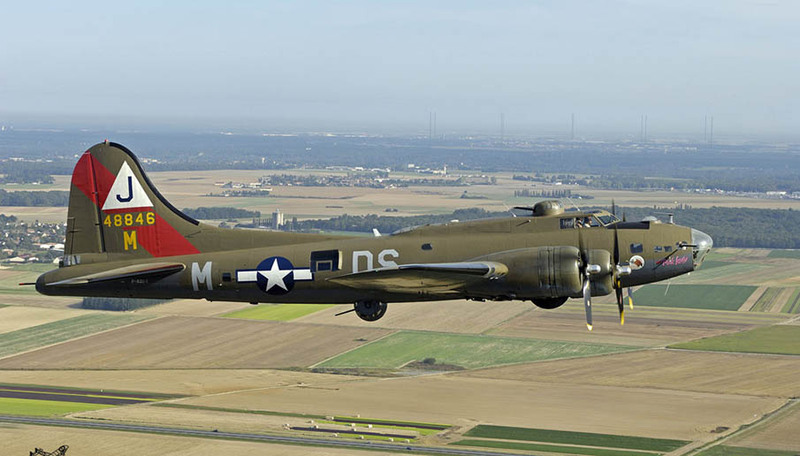 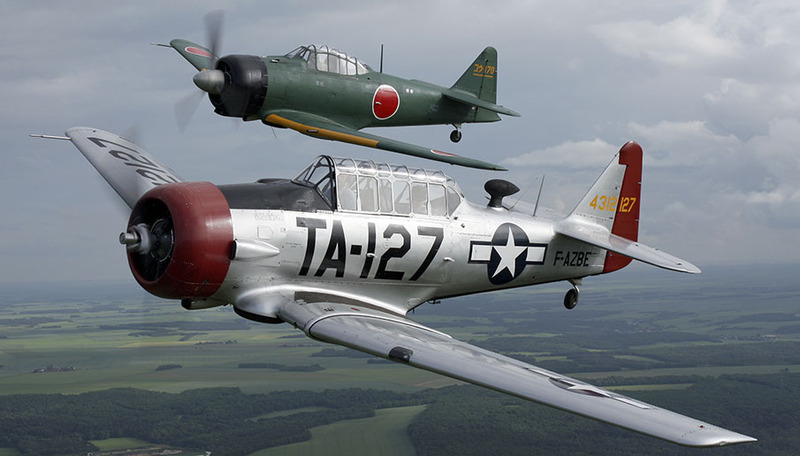 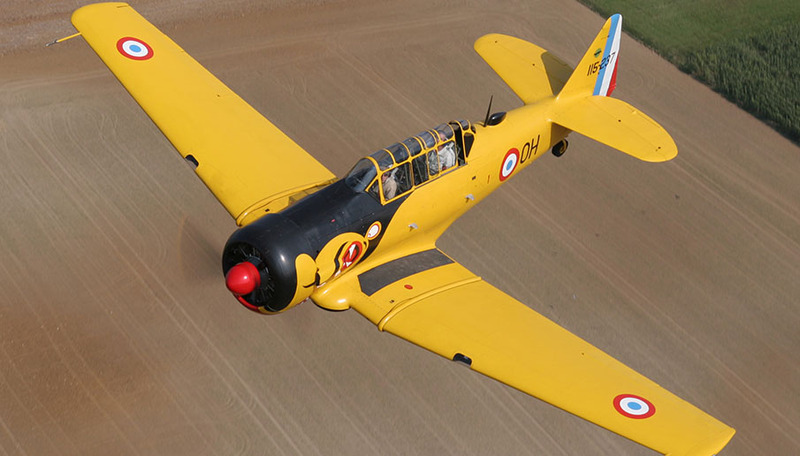 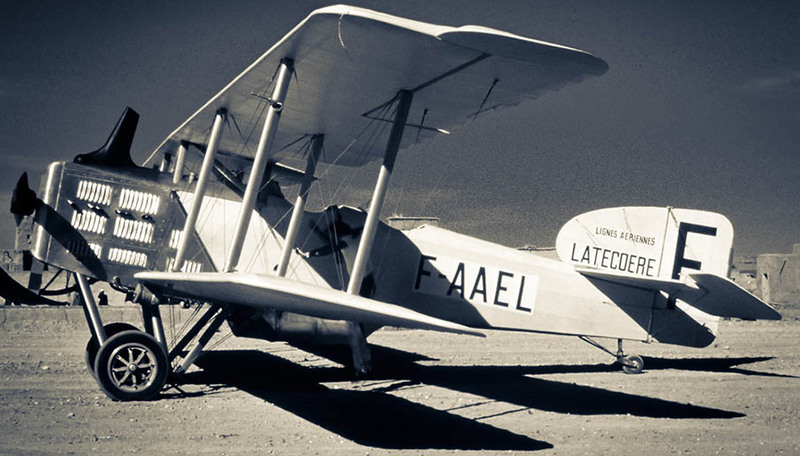 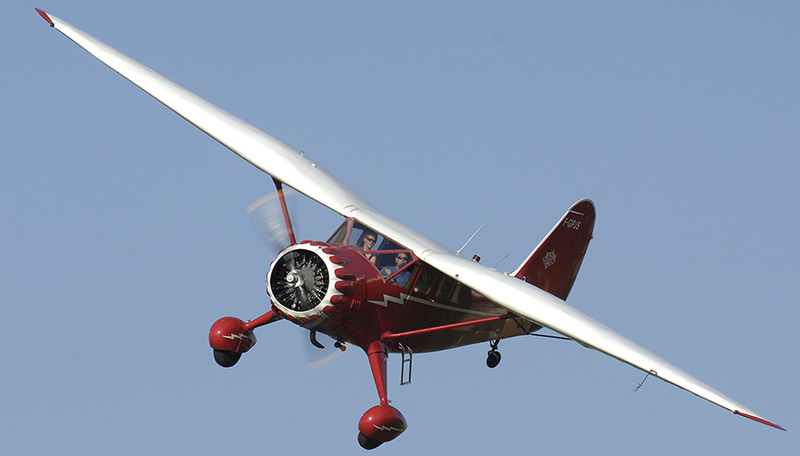 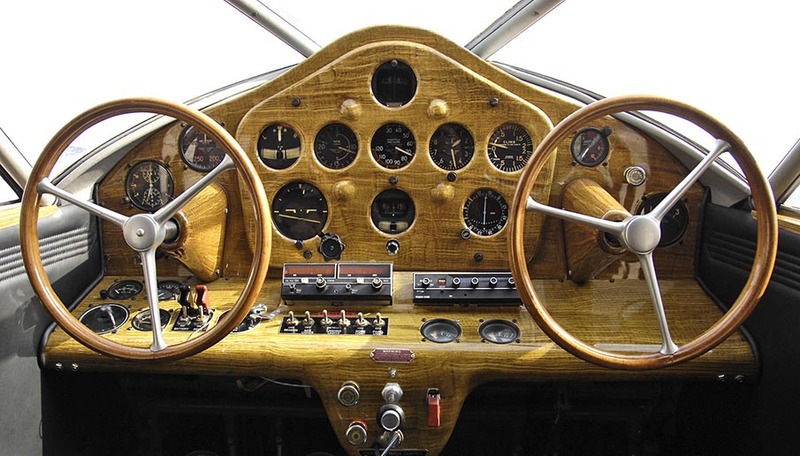 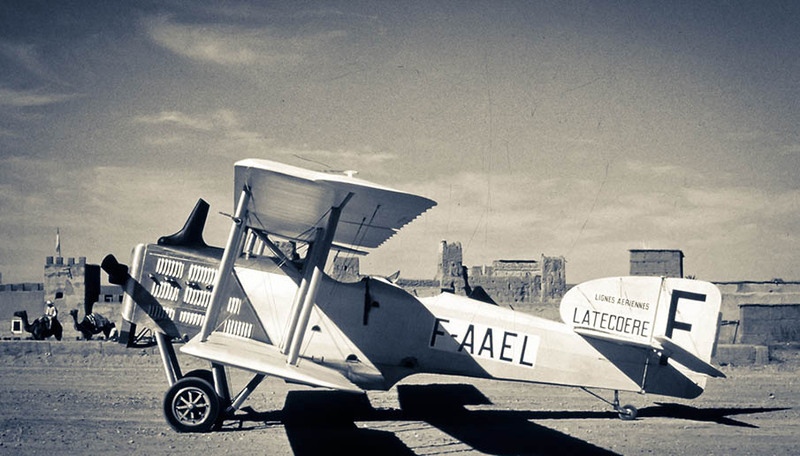 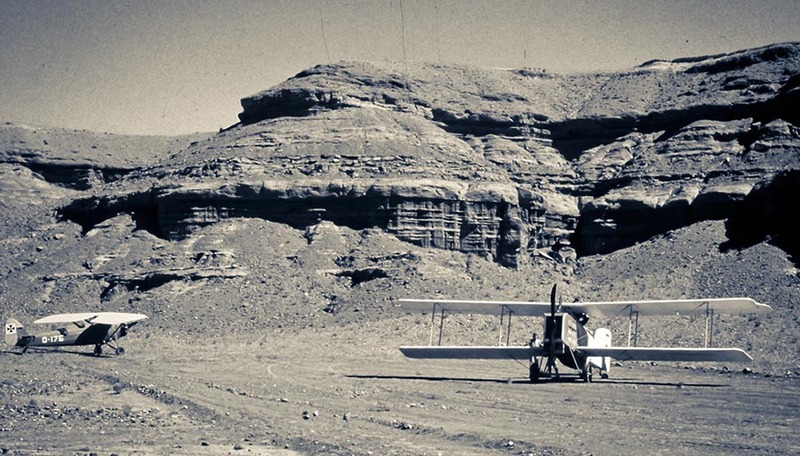 "La jeune fille et les loups"
The family estate offers a particularly favorable site for vintage aircrafts. 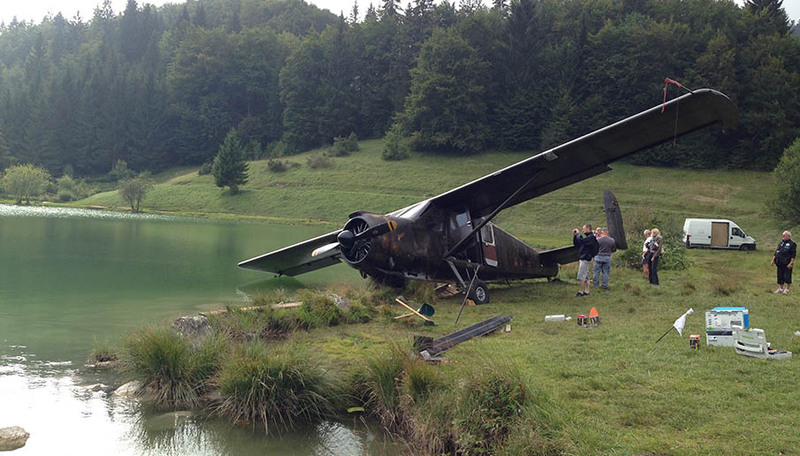 The greenery and the high grassland situation make it an ideal spot for specials effects. 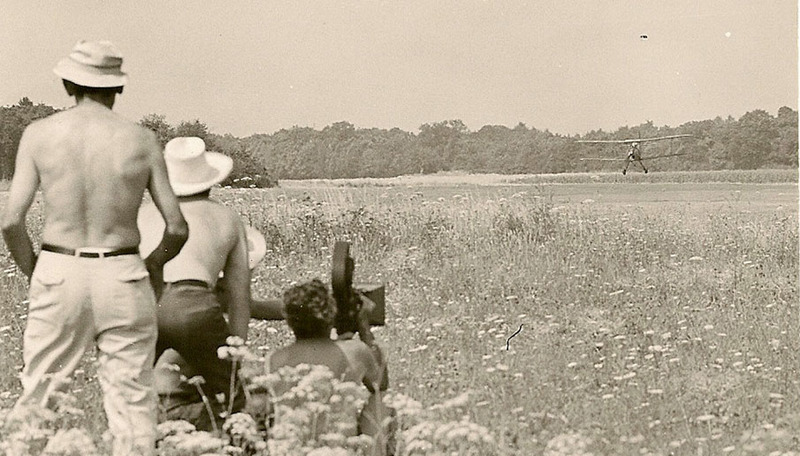 All of it overlooking the beautiful valley. 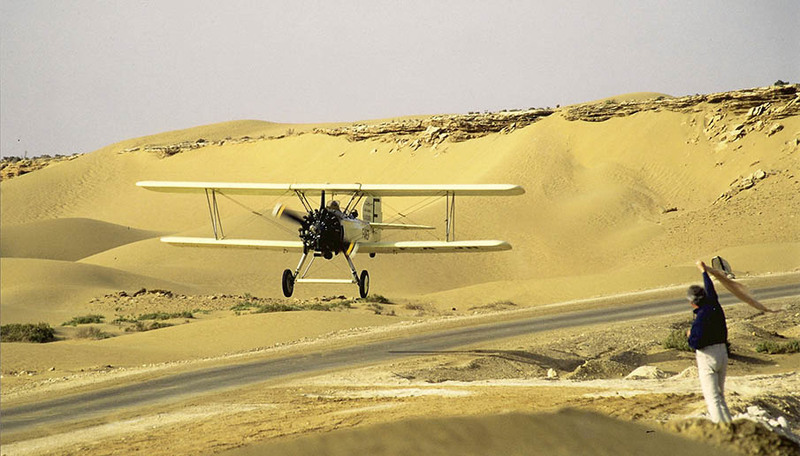 All these various natural areas, former hangars make of our site a unique decor. 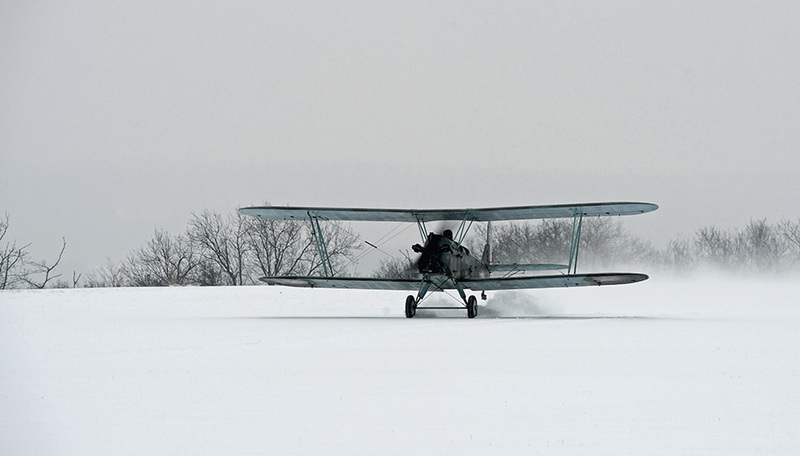 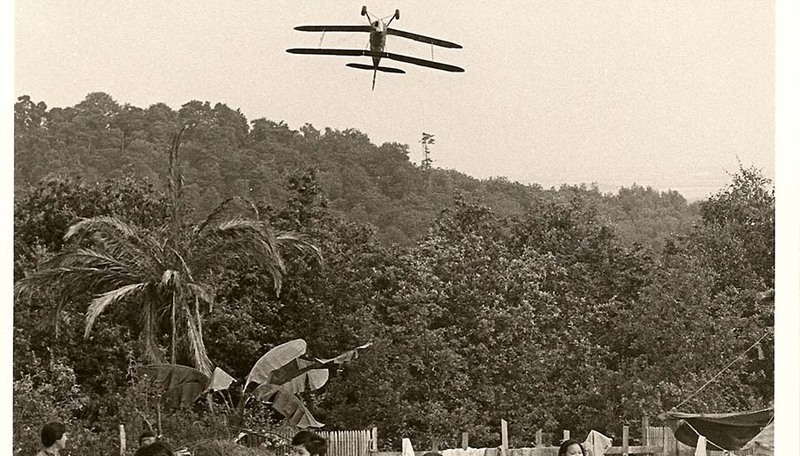 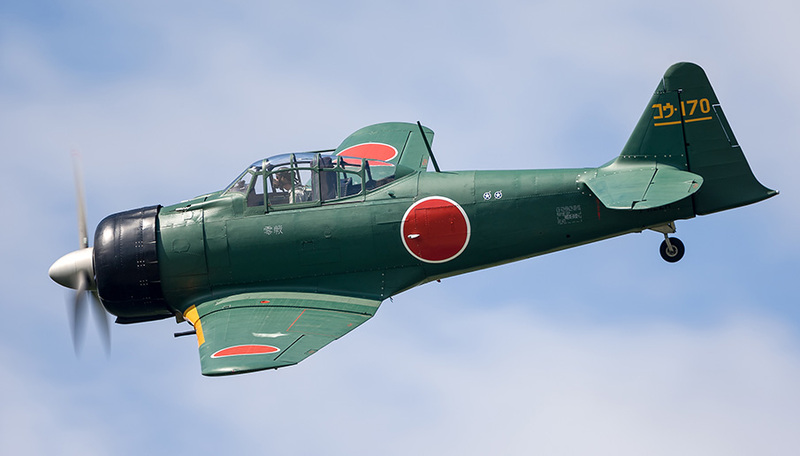 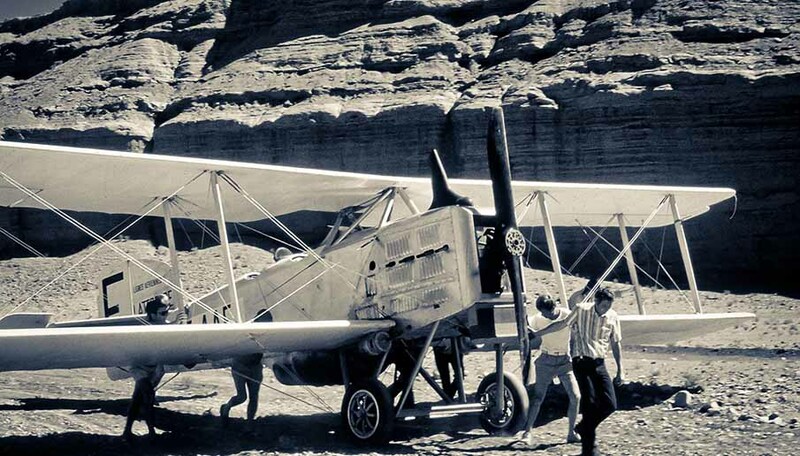 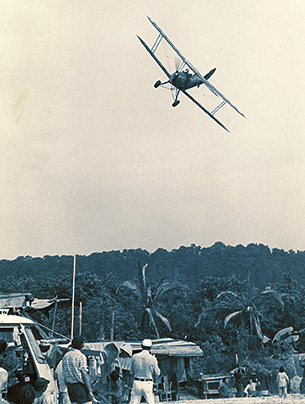 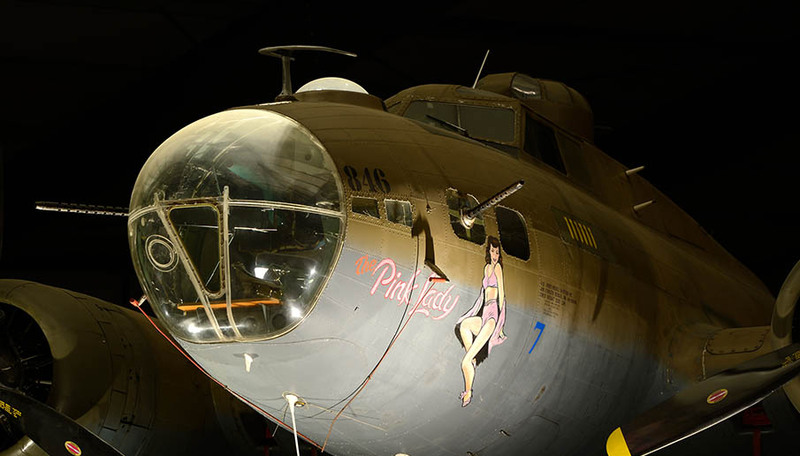 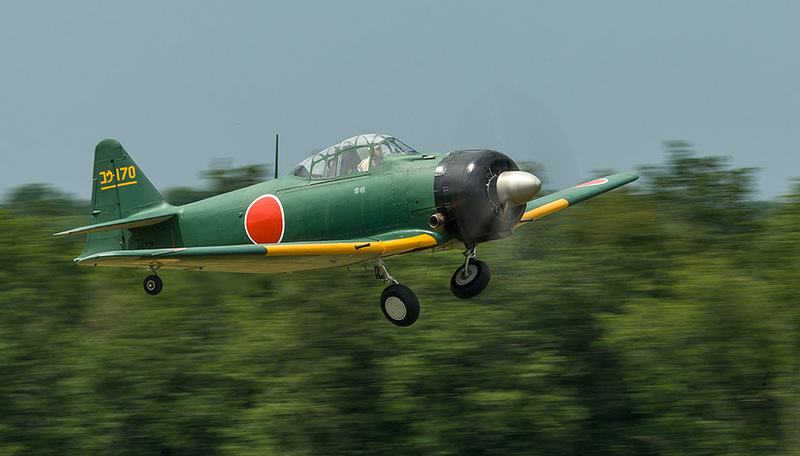 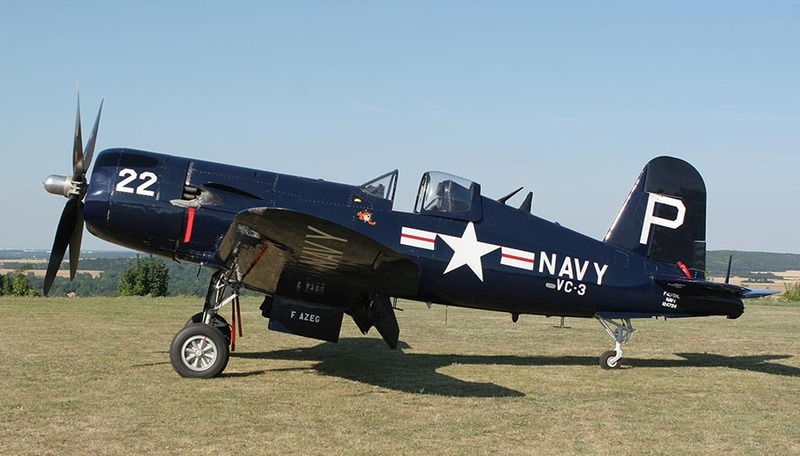 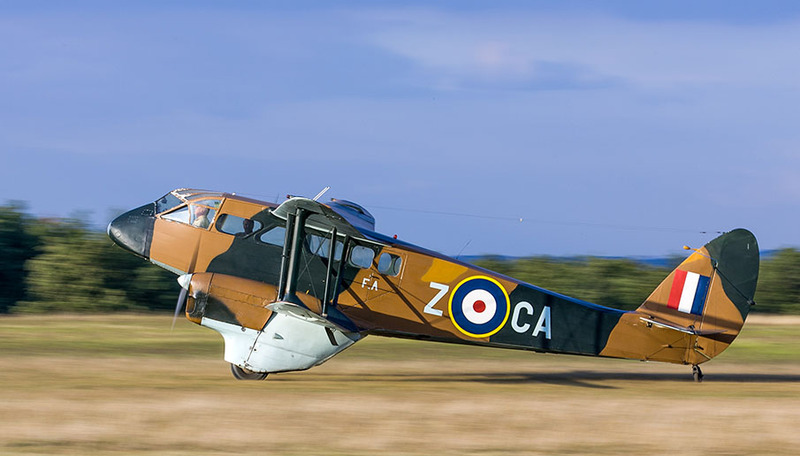 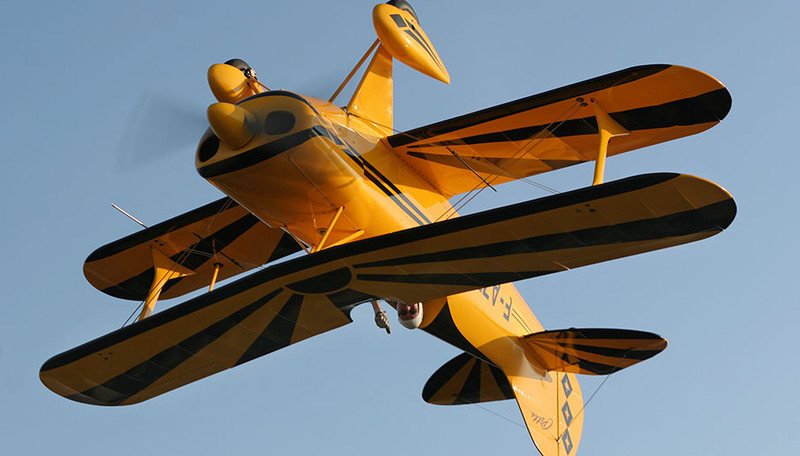 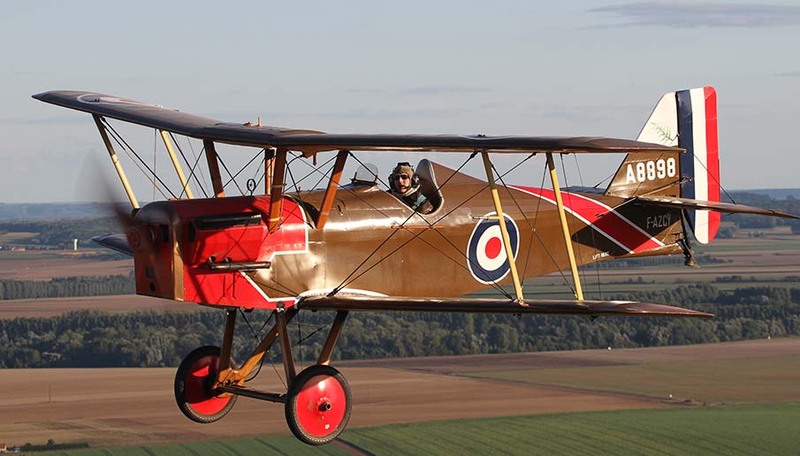 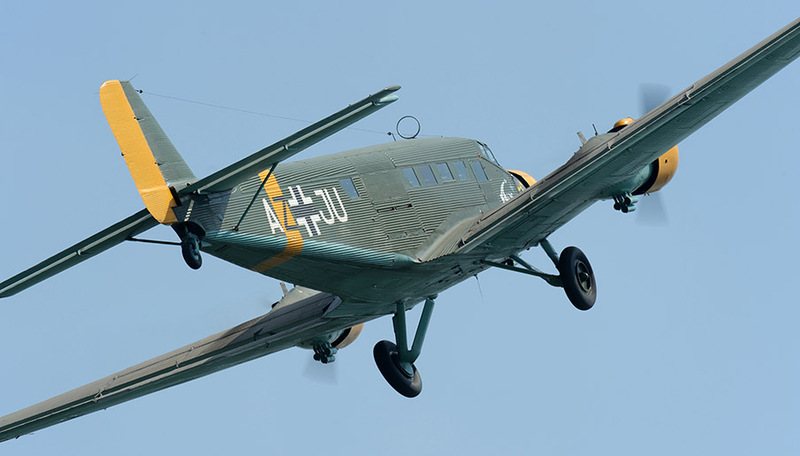 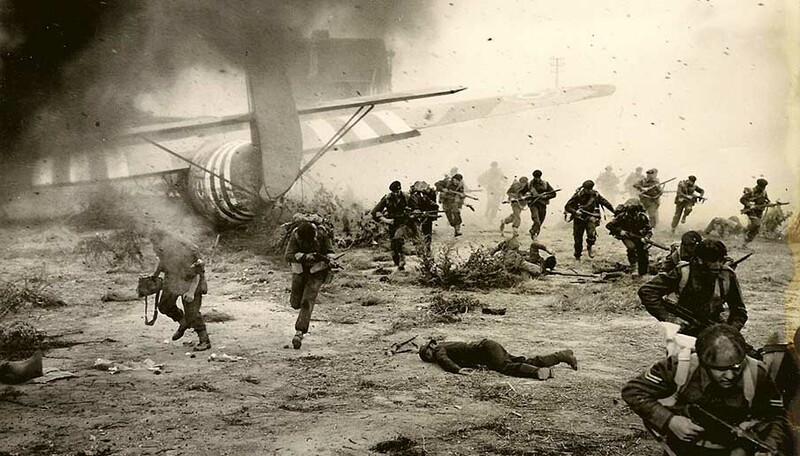 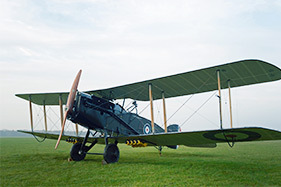 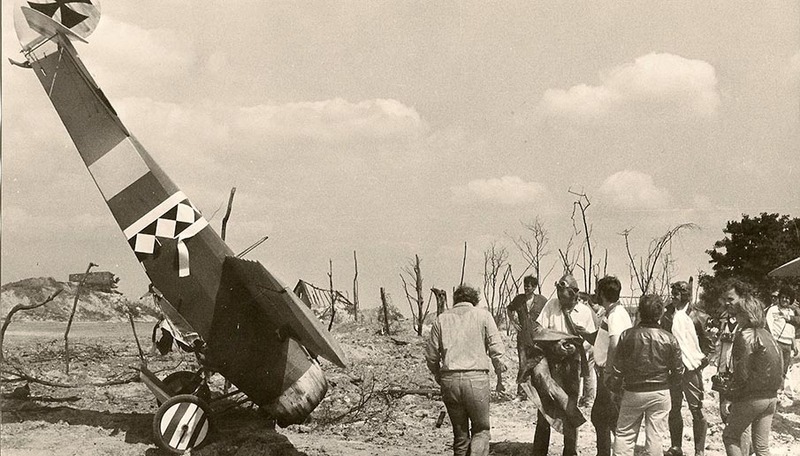 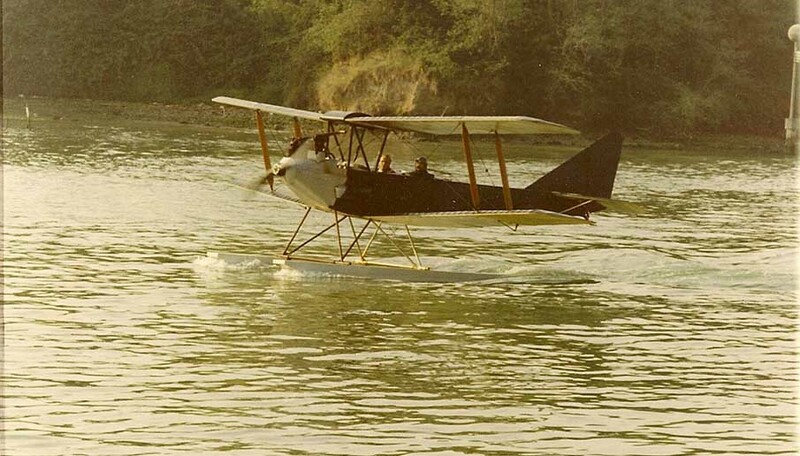 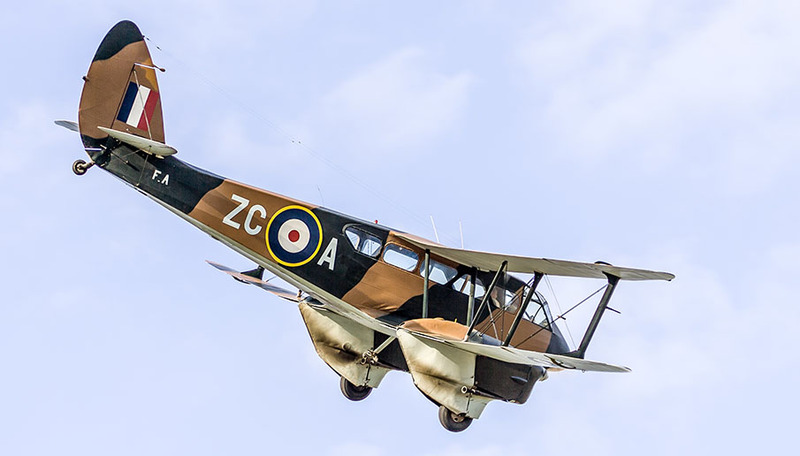 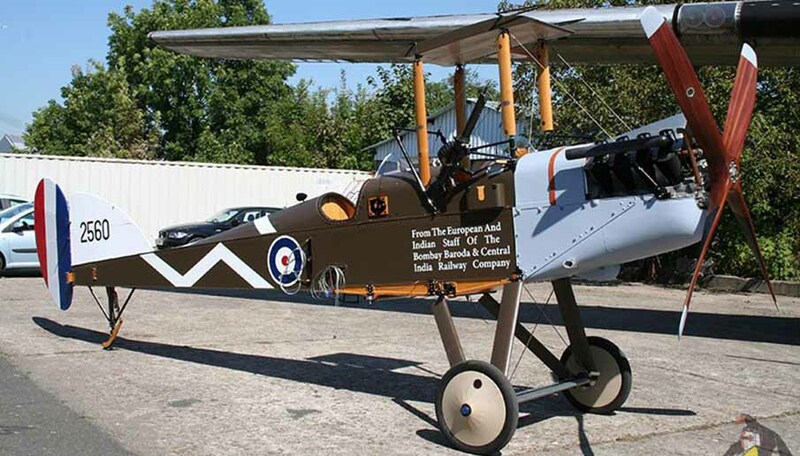 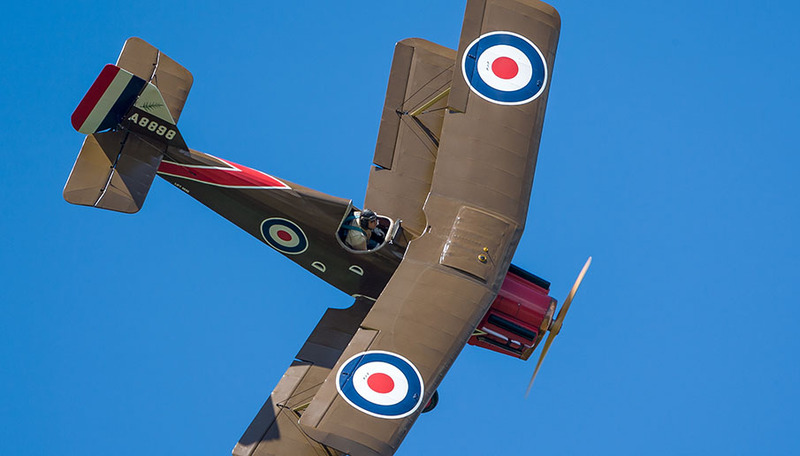 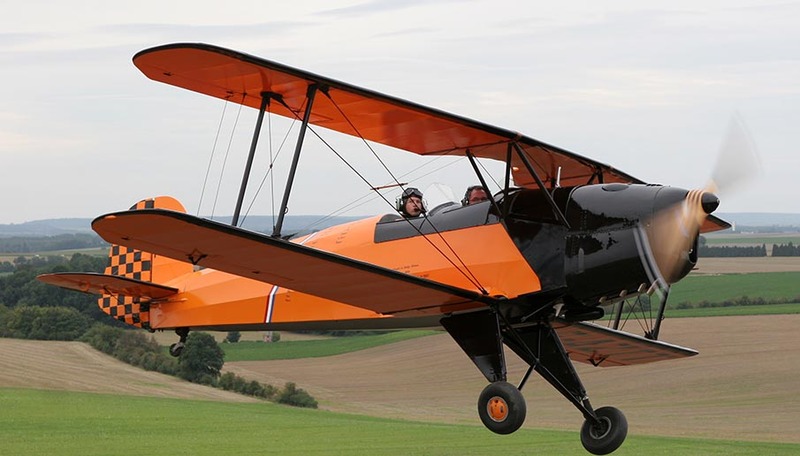 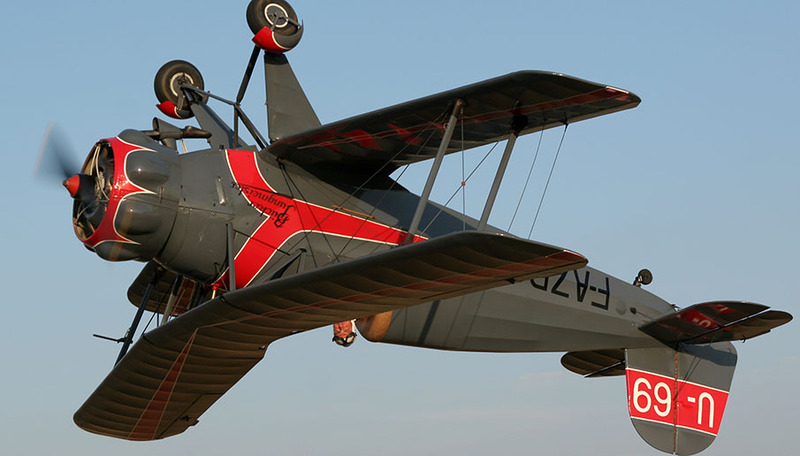 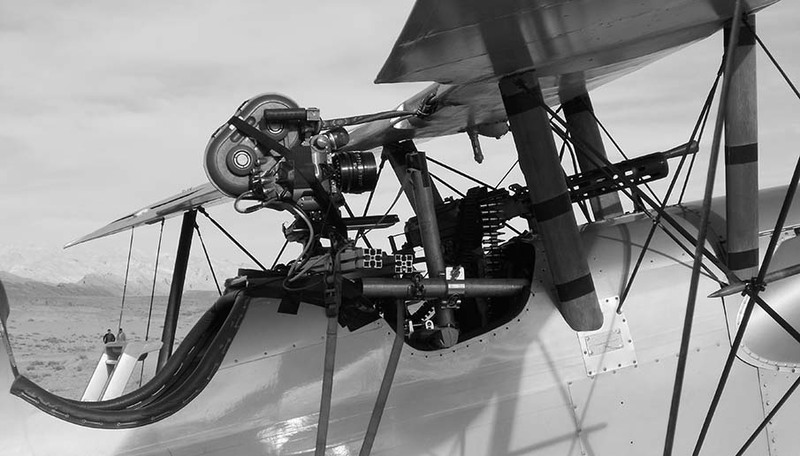 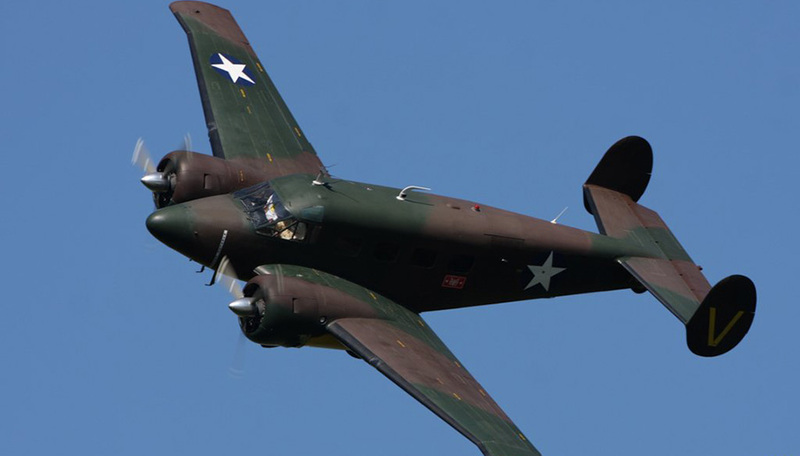 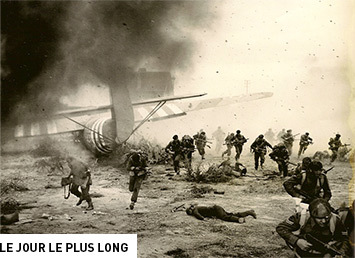 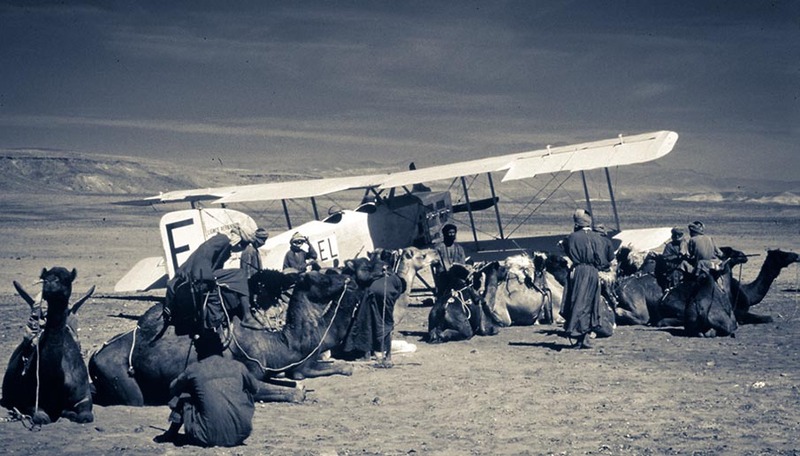 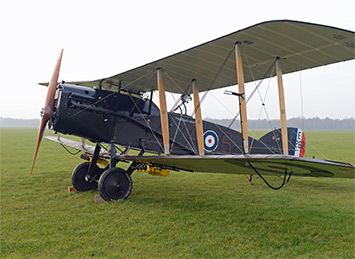 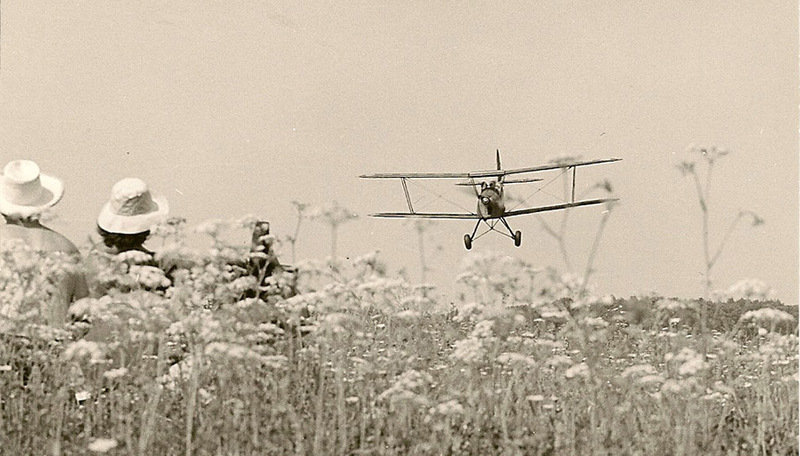 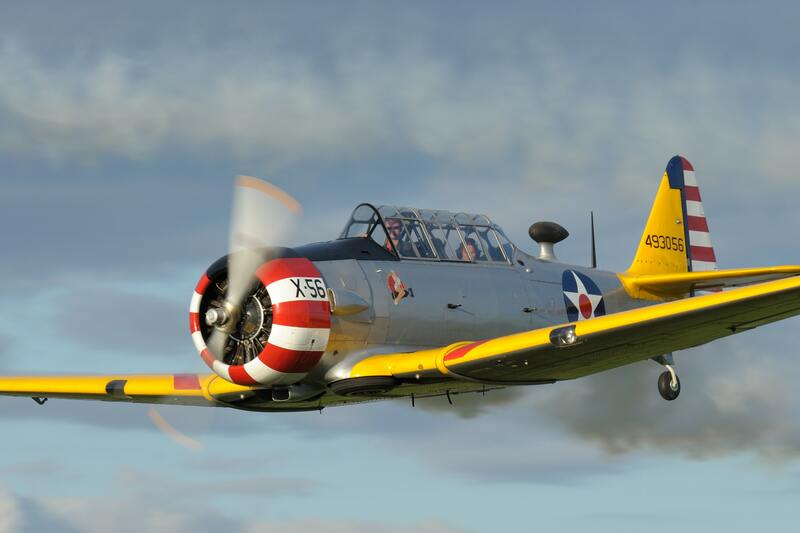 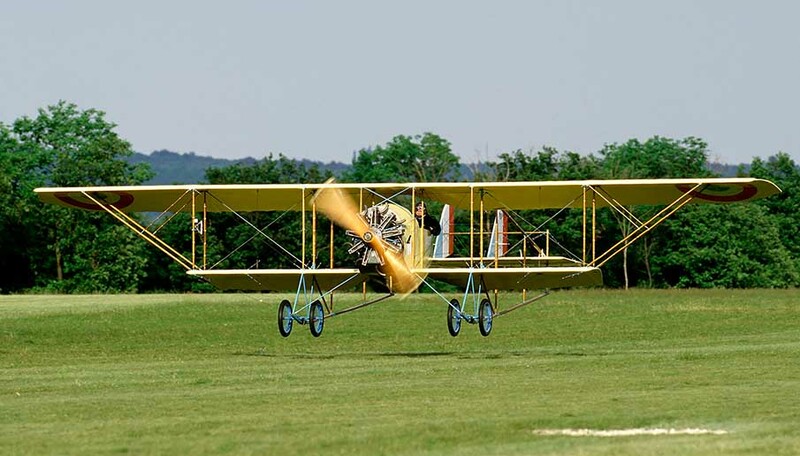 Our collection covers a wide period : pioneers, First World War, Interwar period, Second World War, sports and aerobatics planes, and vintage tourism planes. 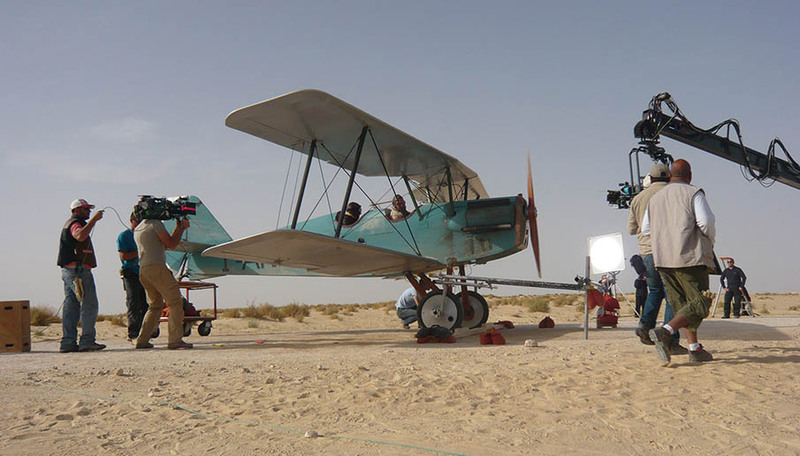 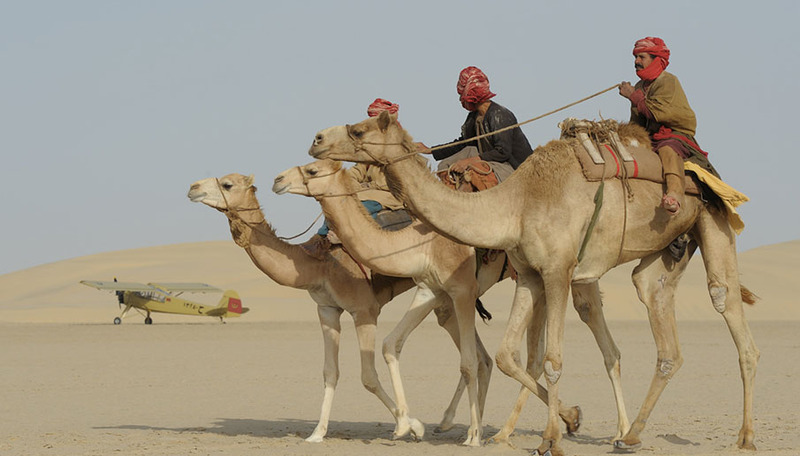 We have, in the museum, many planes available dealing with the requests of movie’s requirements. 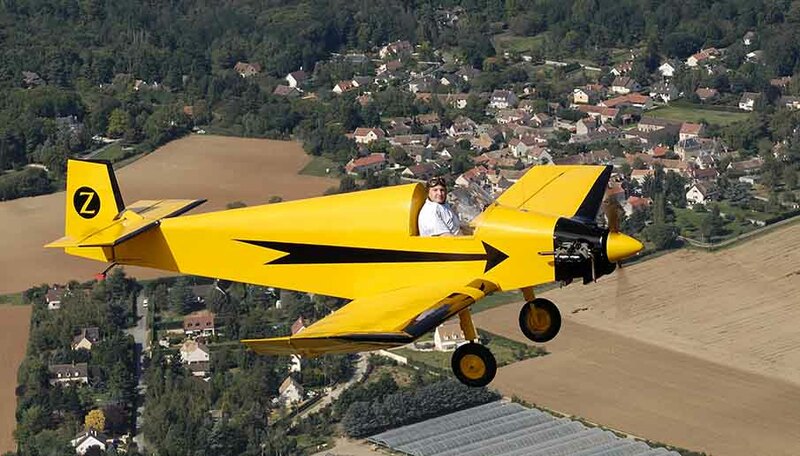 We can also use external planes.